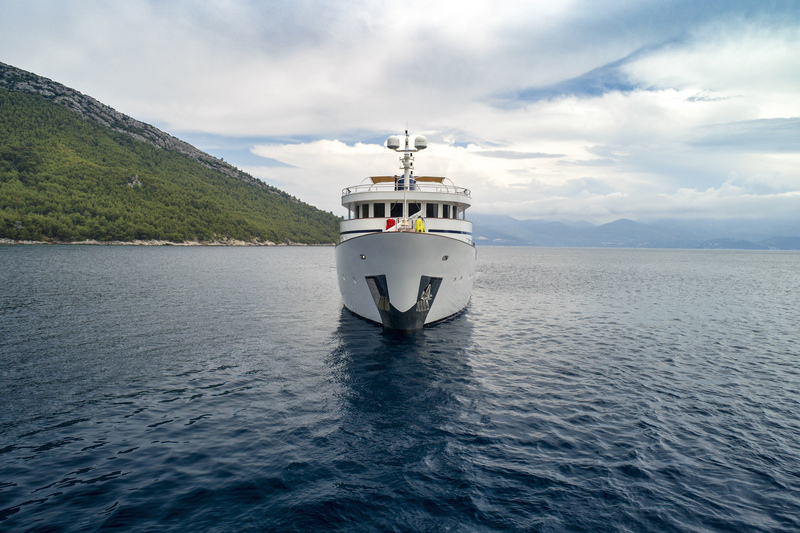 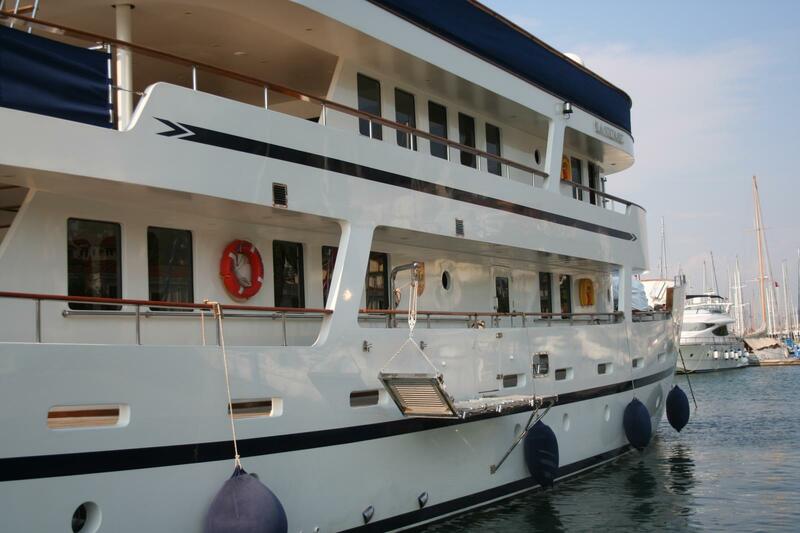 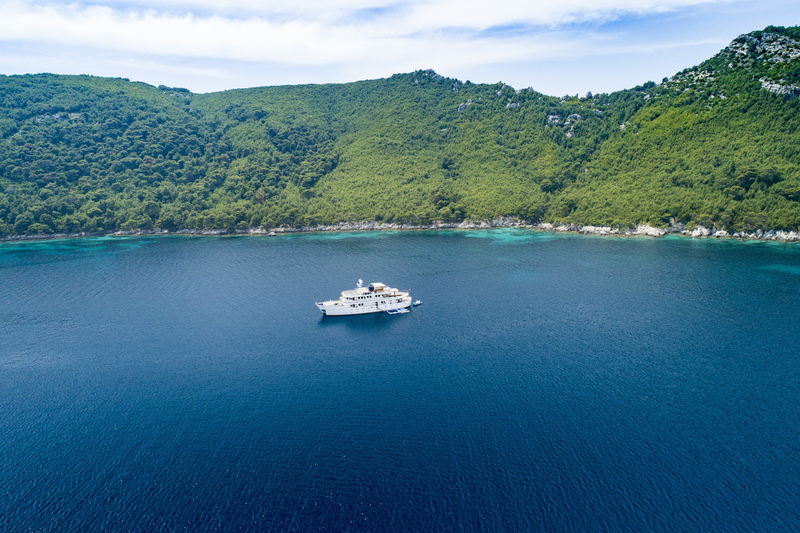 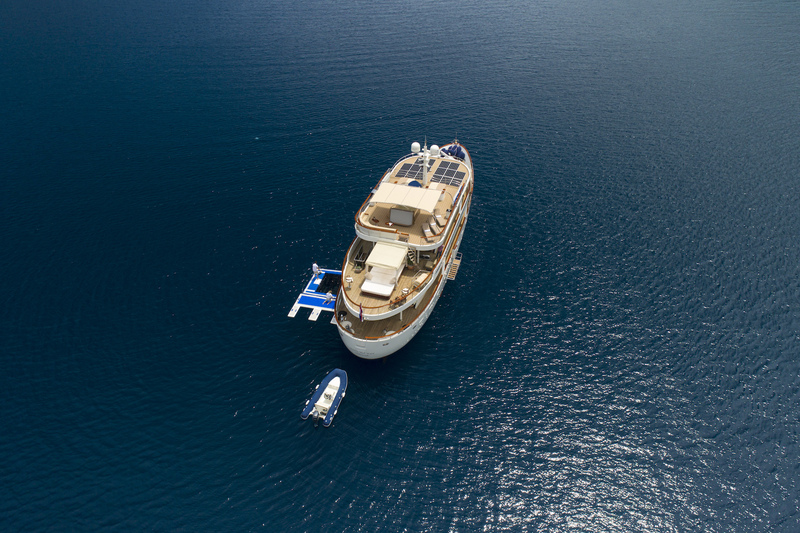 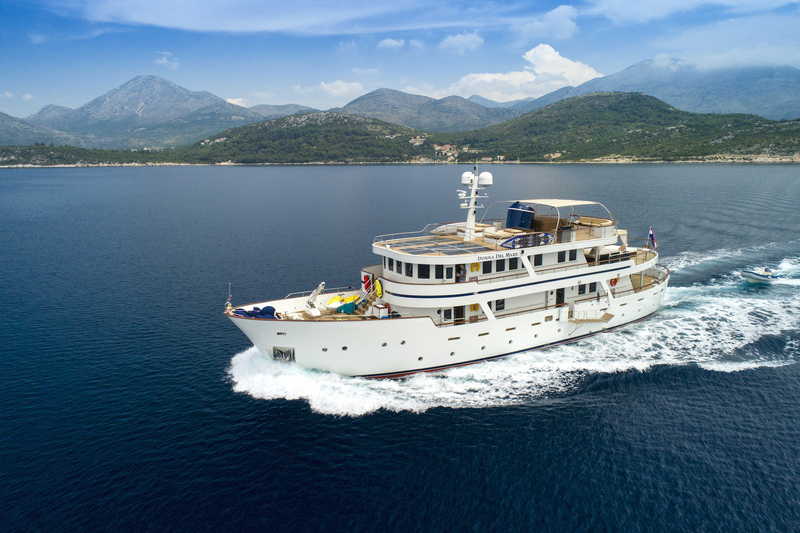 DONNA DEL MARE is a 41m (134.5 ft) custom motor yacht built by Aegean Yachts and Yavuz Mete in 2007, her last refit was in 2016, and she accommodates up to 18 charter guests in 7 cabins. 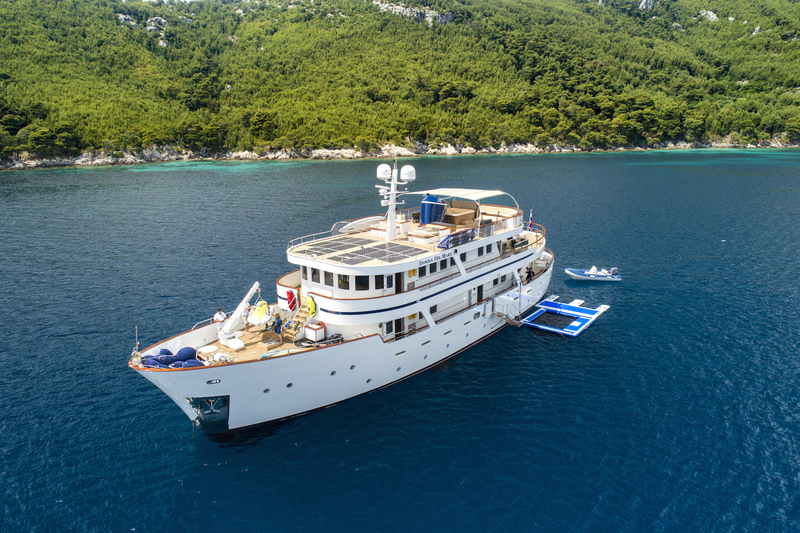 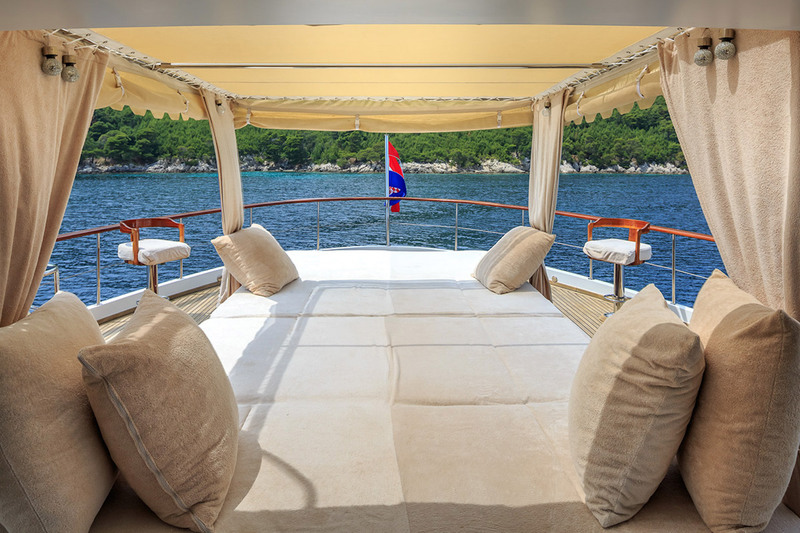 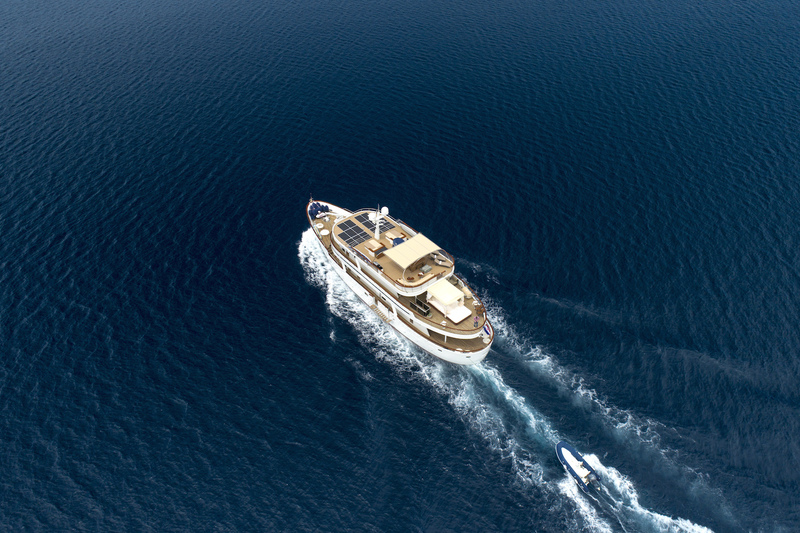 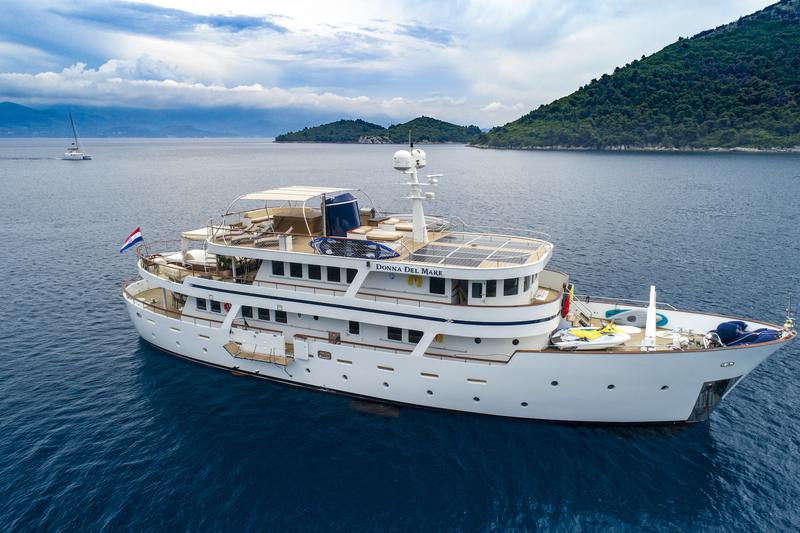 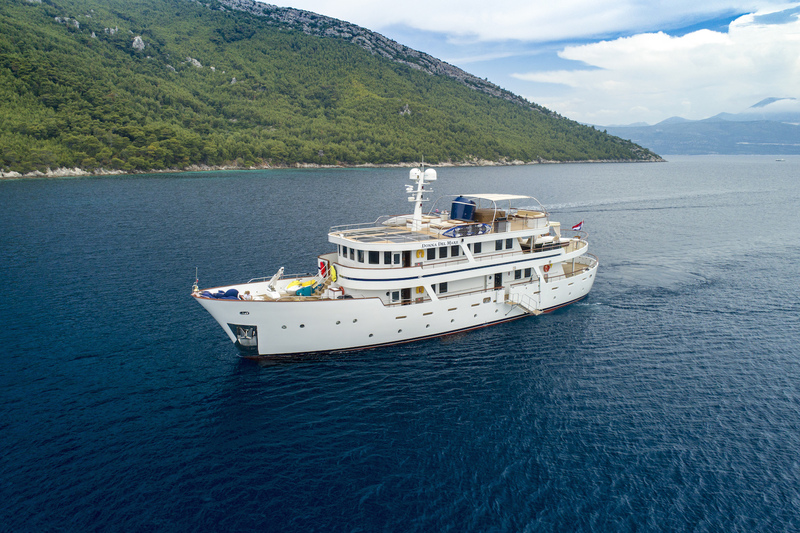 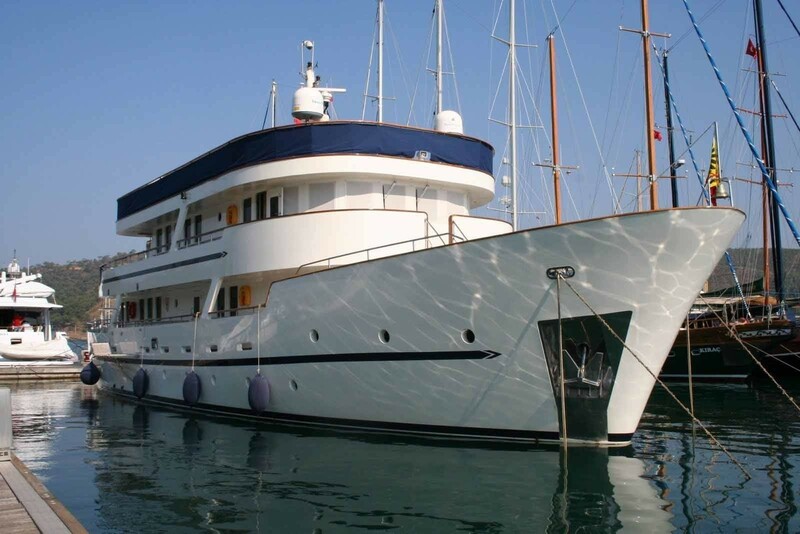 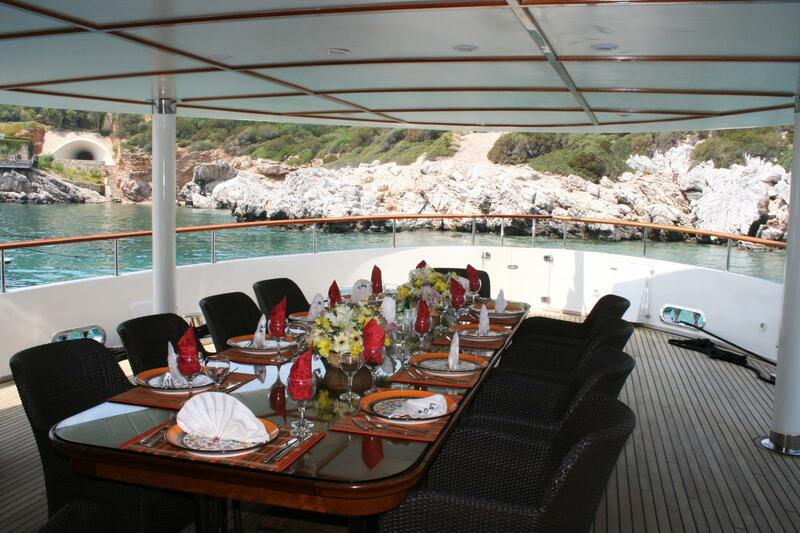 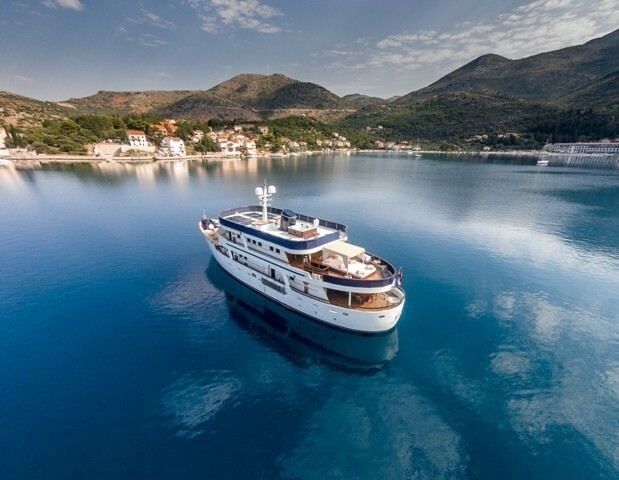 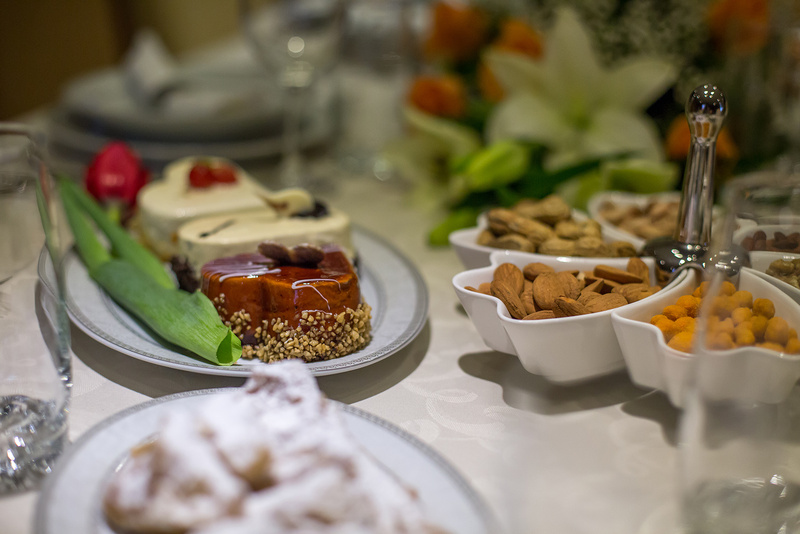 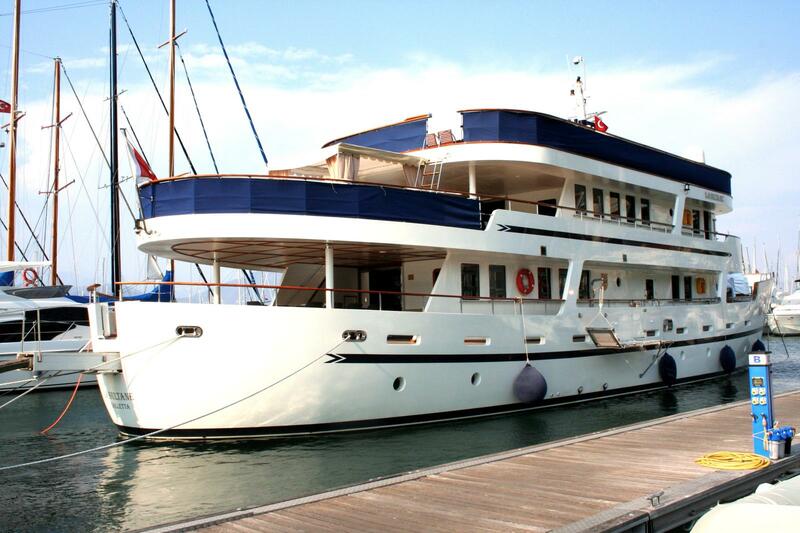 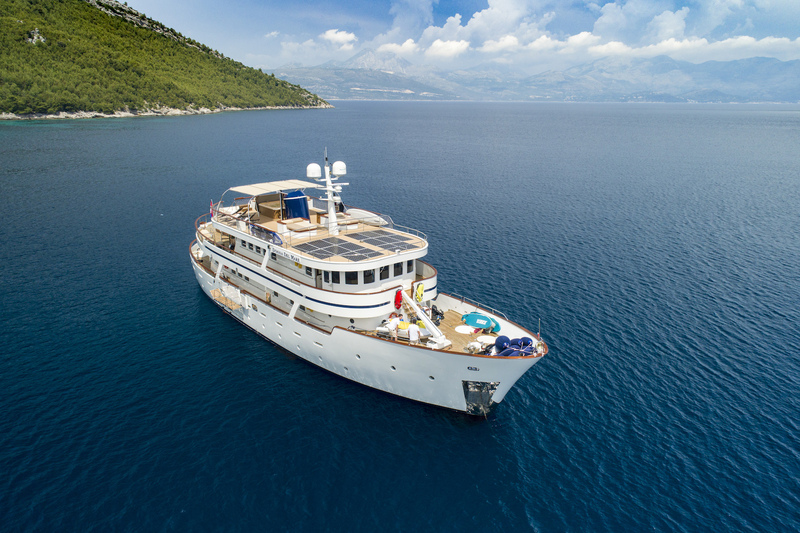 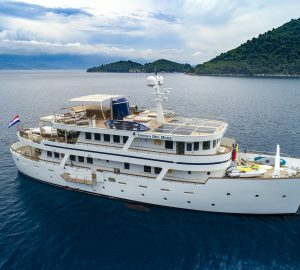 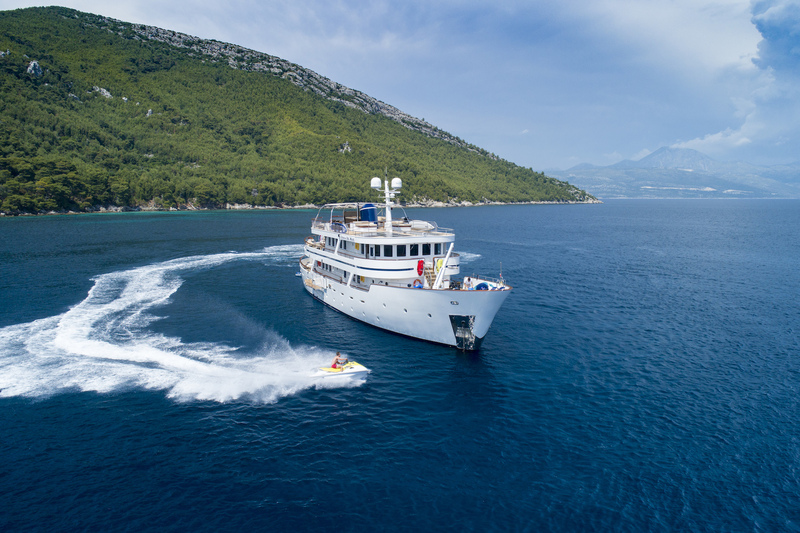 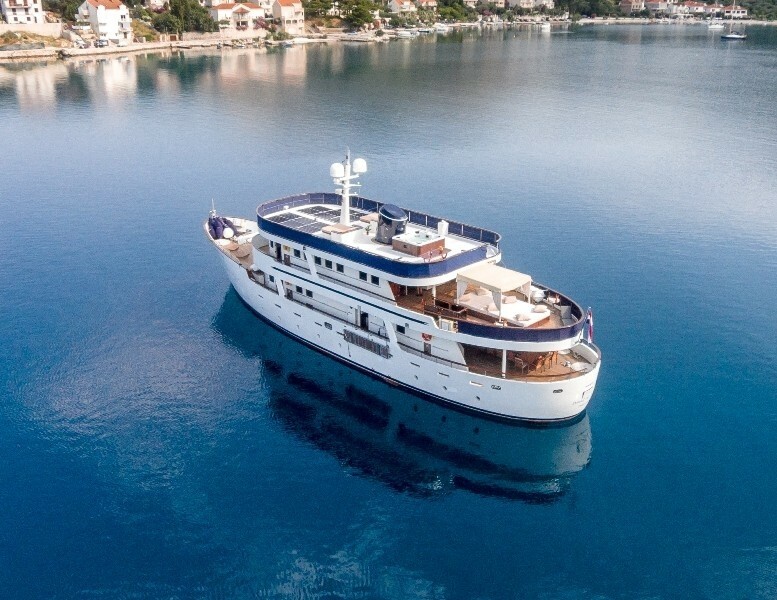 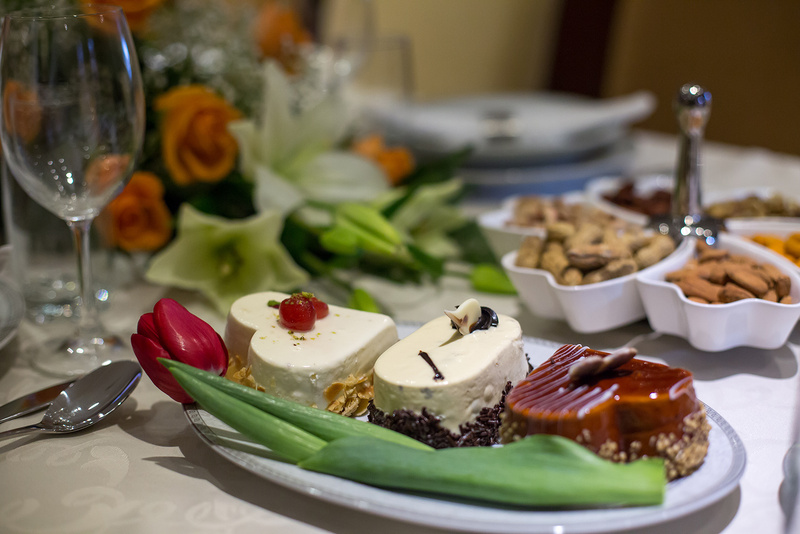 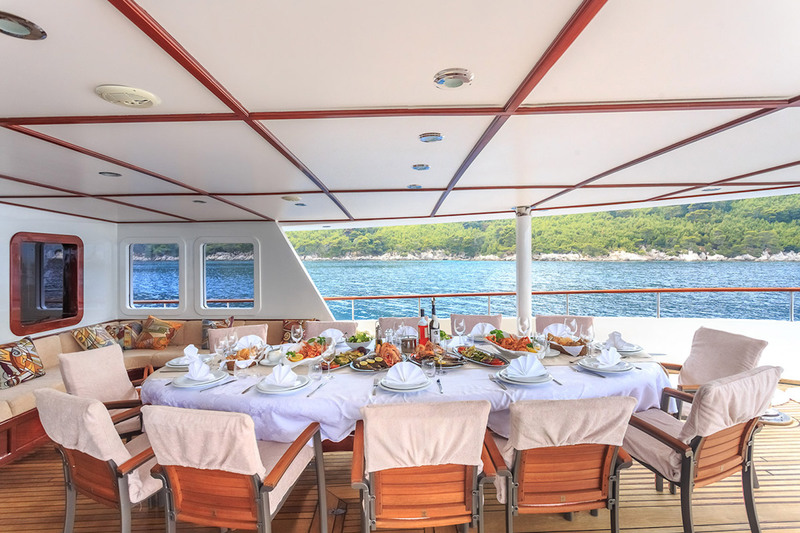 Extremely elegant and finished to the highest standards, DONNA DEL MARE is a popular choice for large families or groups of friends, due to her high accommodation capacity. 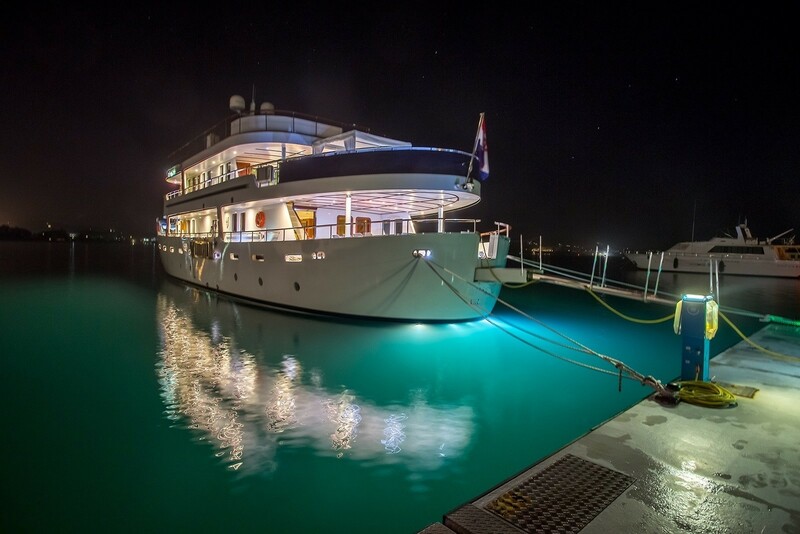 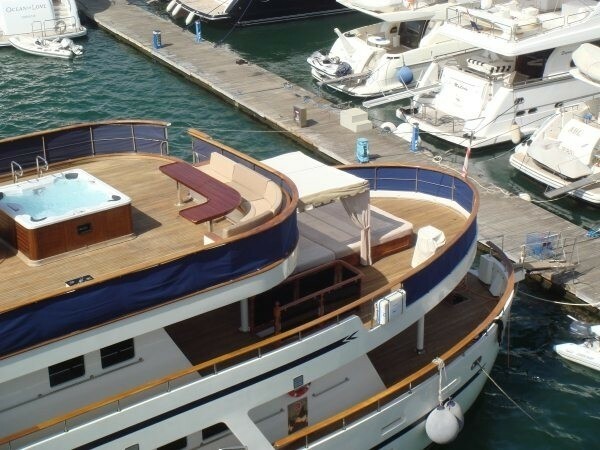 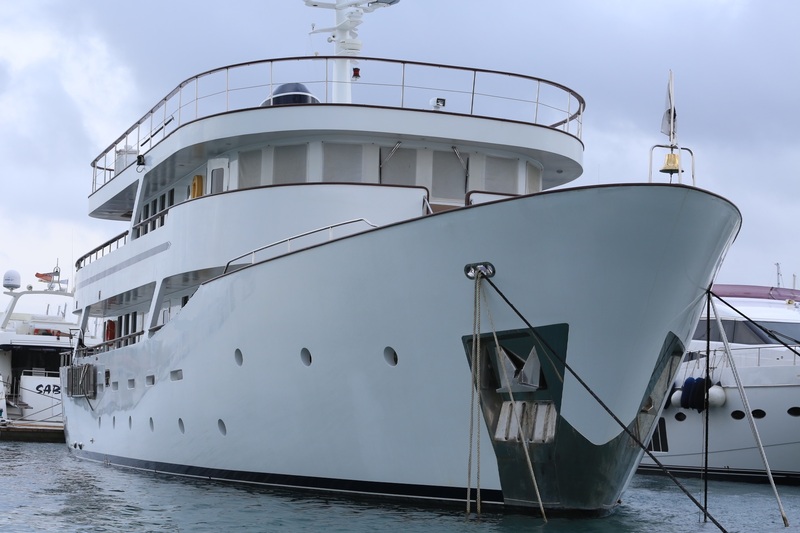 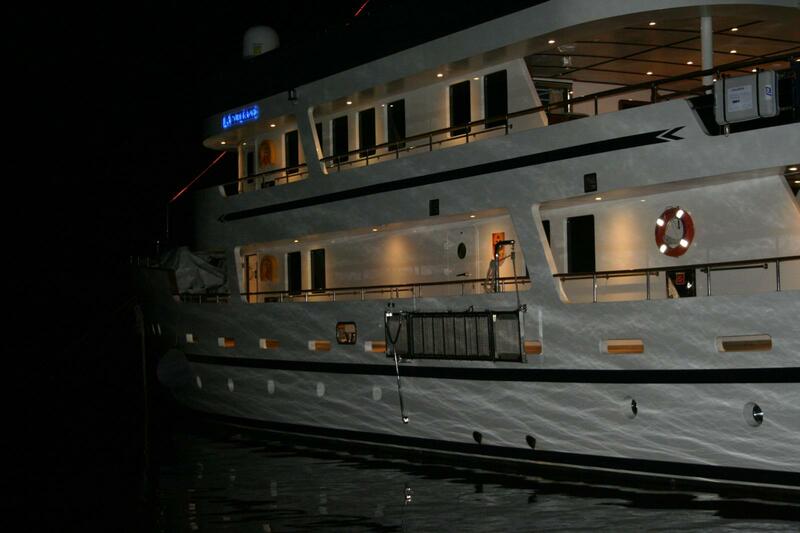 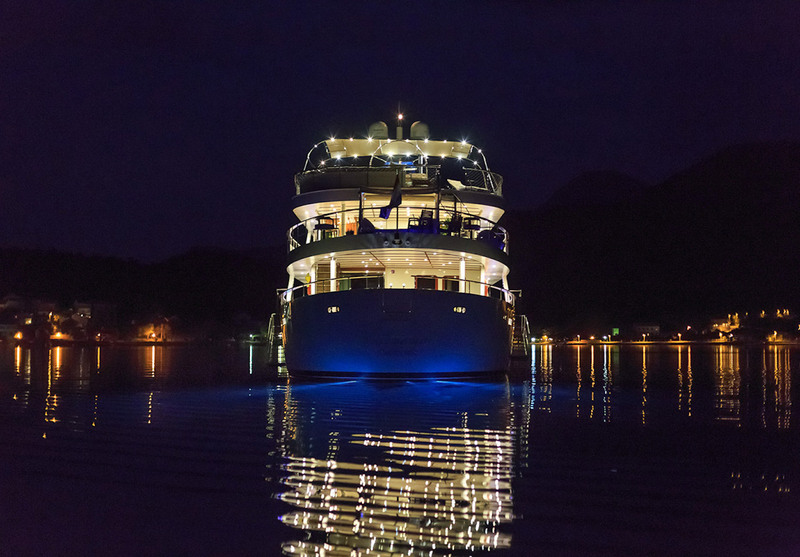 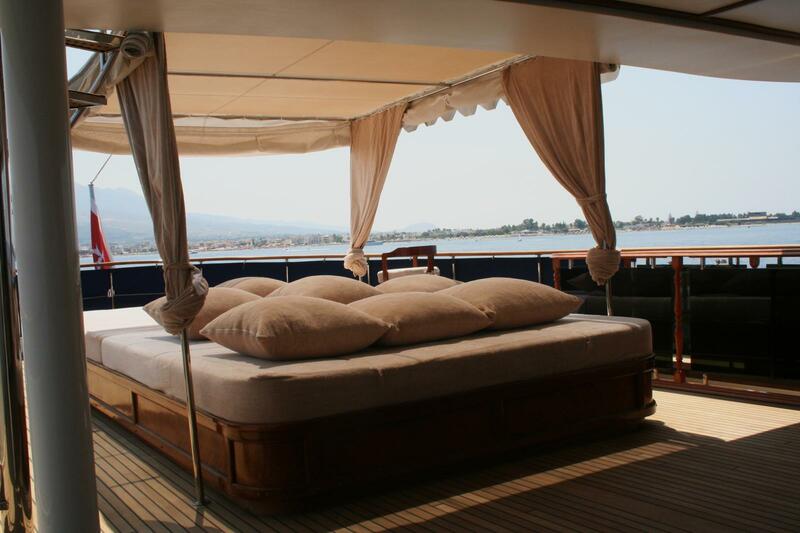 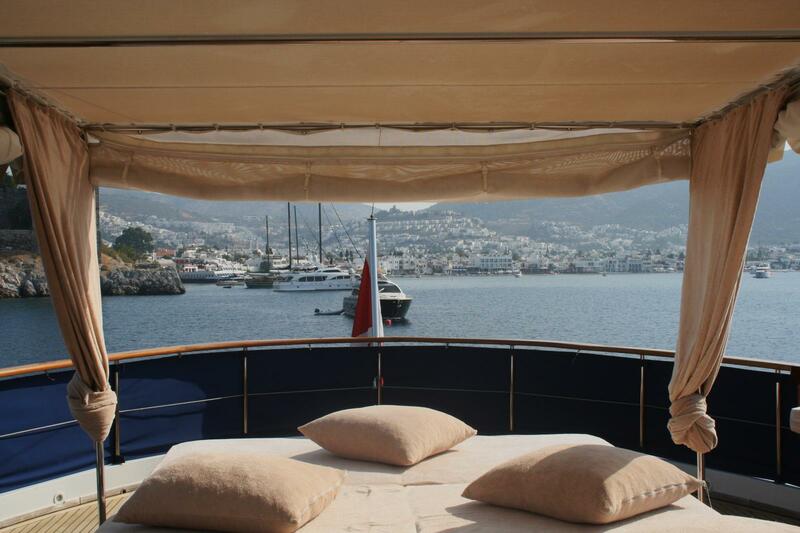 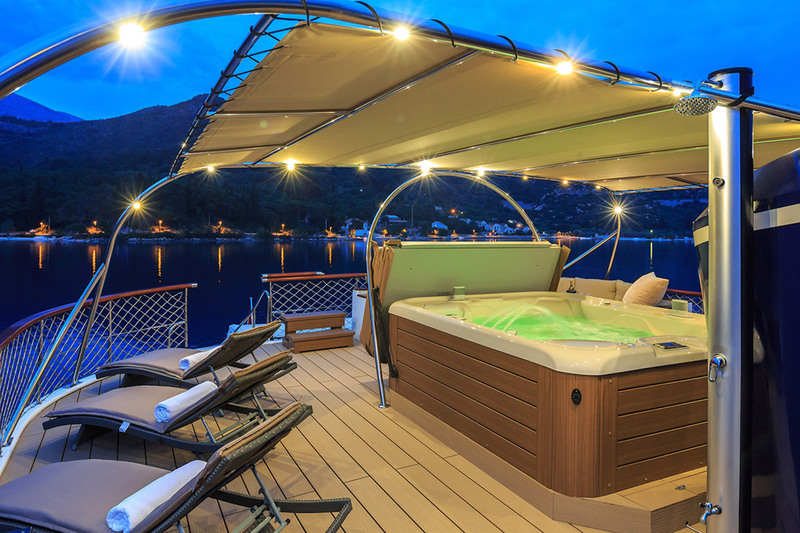 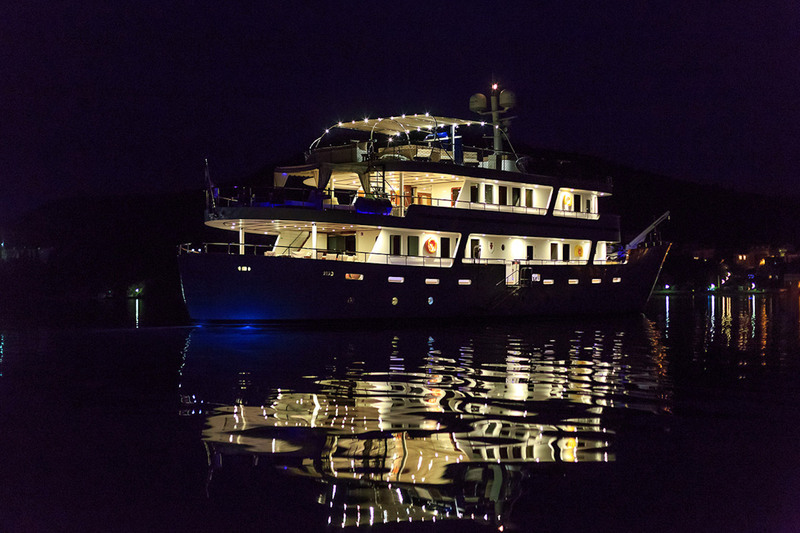 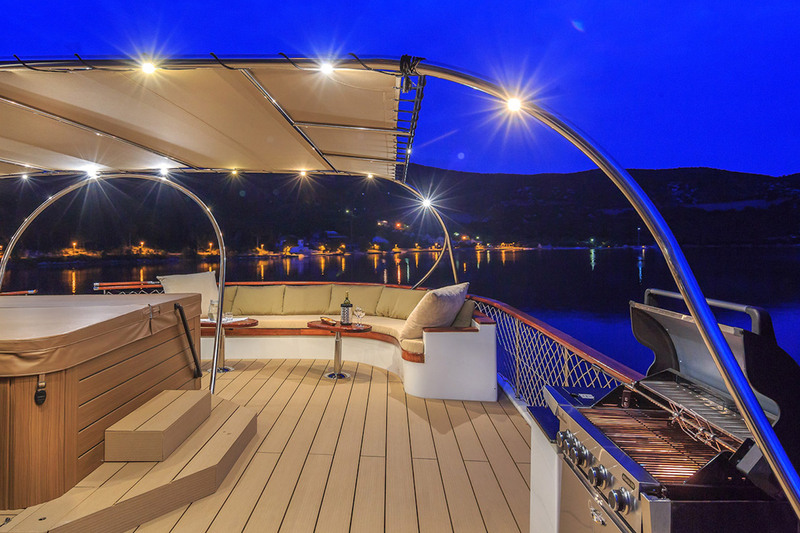 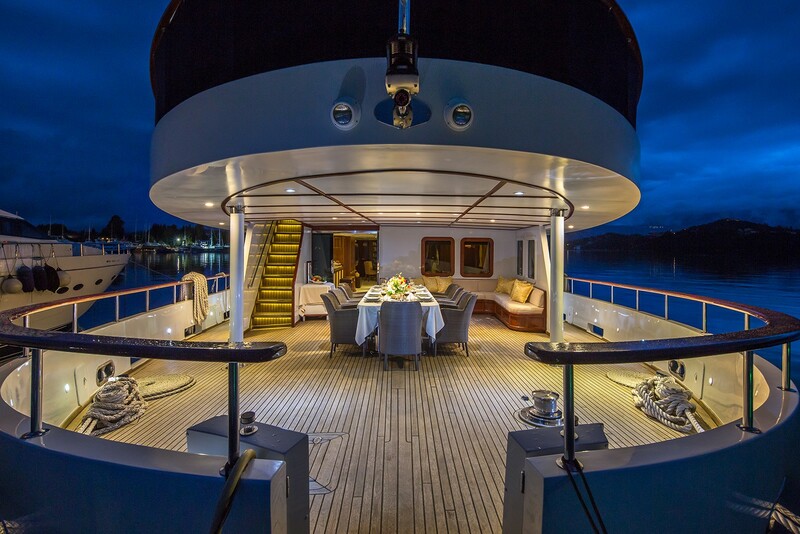 This luxury motor yacht is one of a kind. 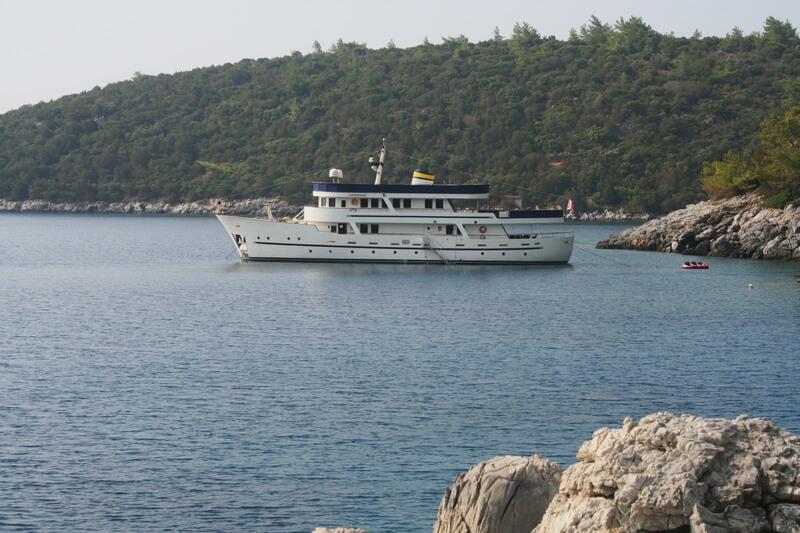 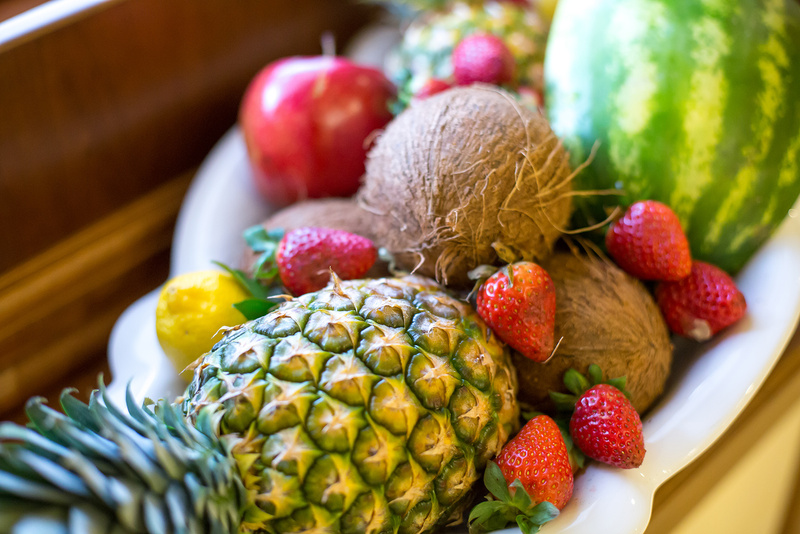 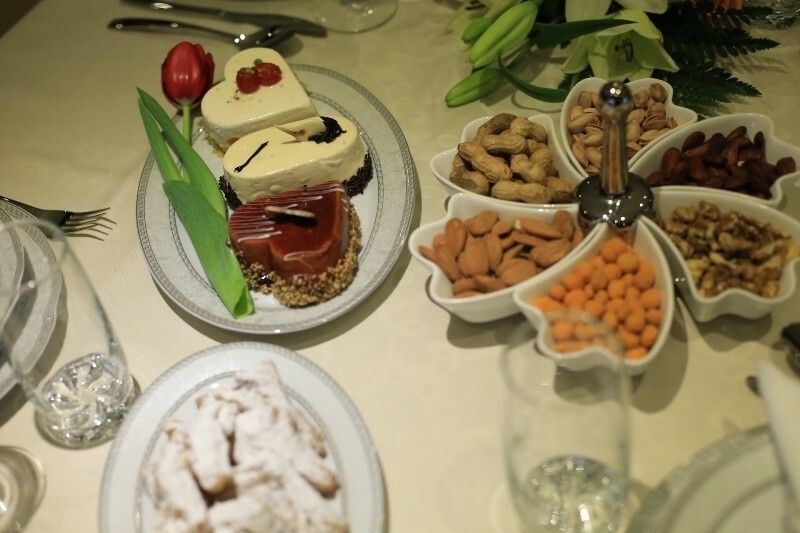 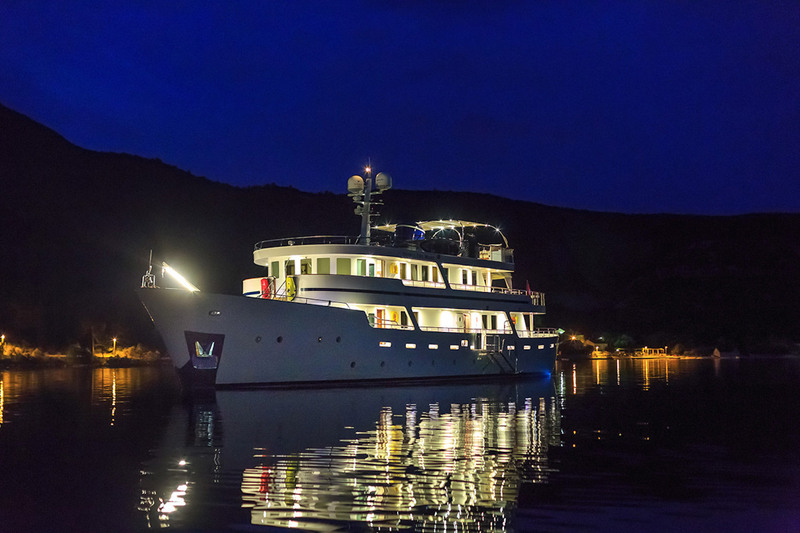 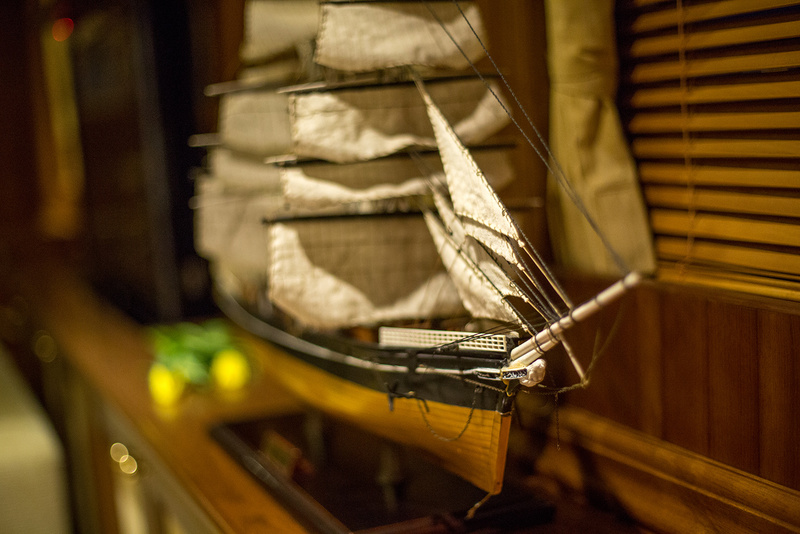 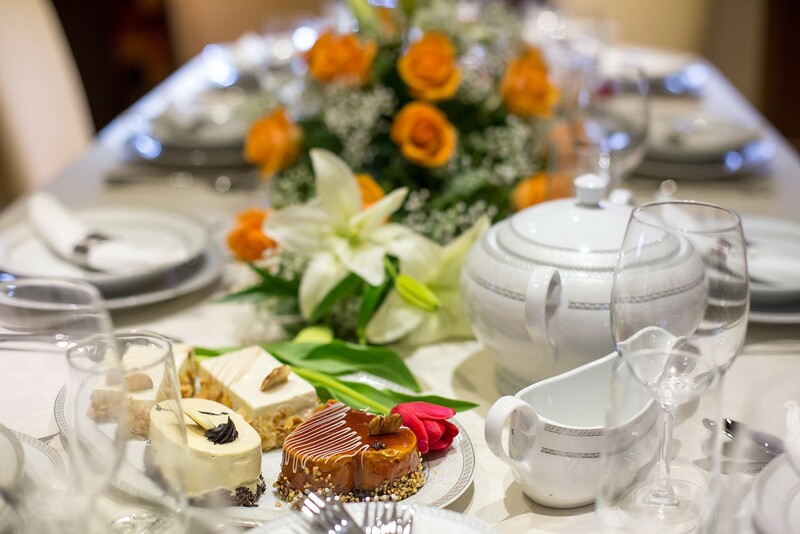 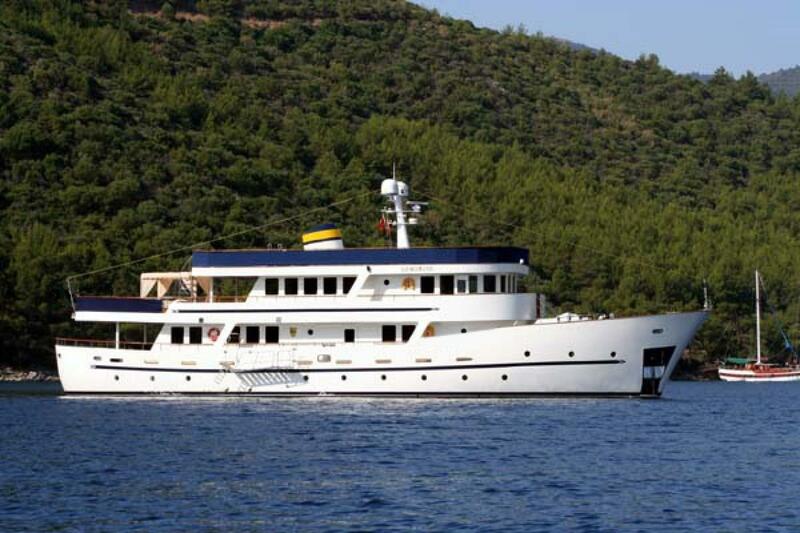 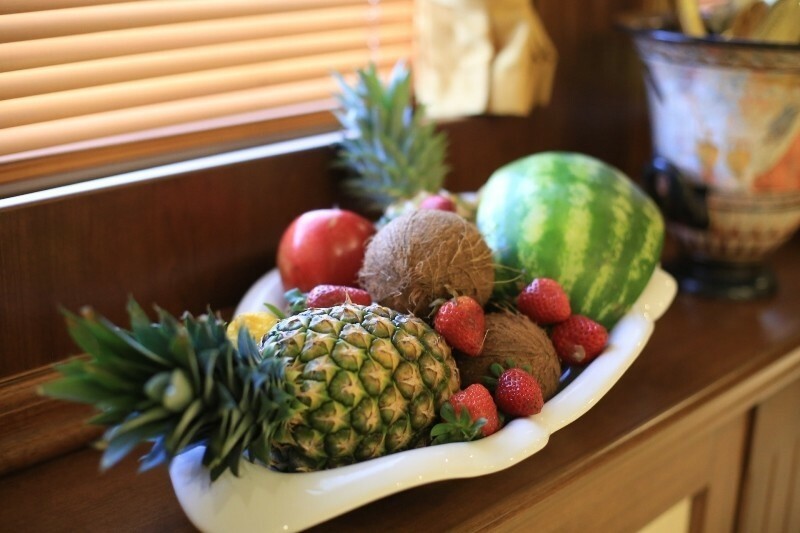 She combines the fine taste of a traditional vessel with modern technology. 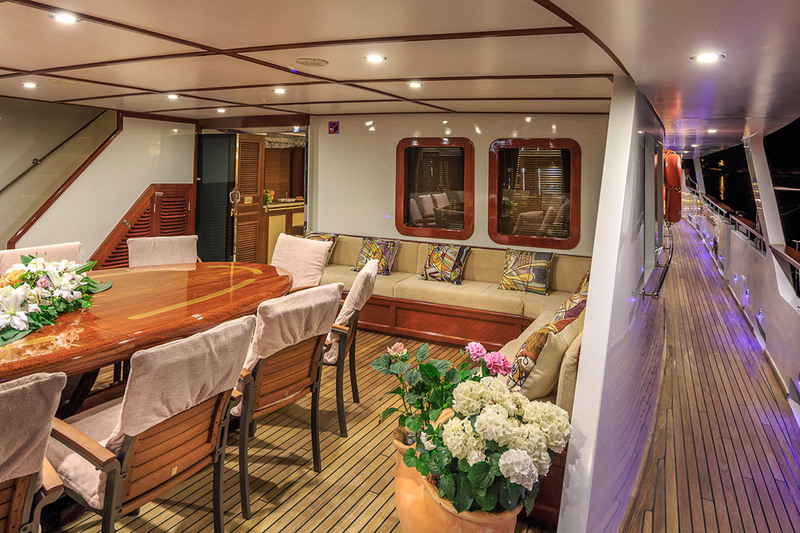 Her interiors are designed to provide the ultimate well-being. 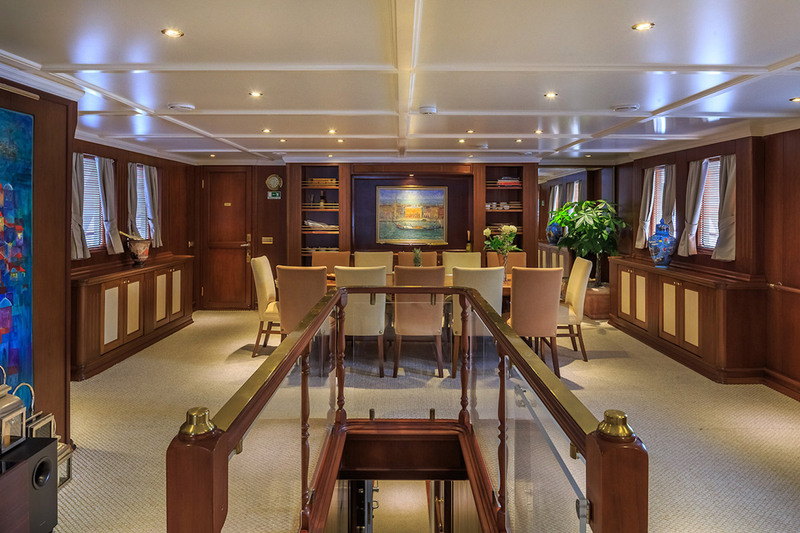 One enters the main deck into a grand living space with vast windows, wooden panels, and a very light neutral colored carpet. 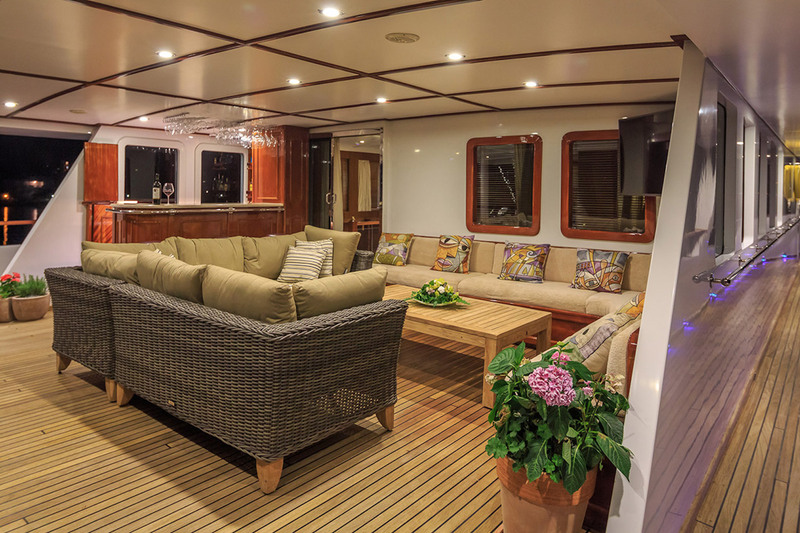 The salon area boasts colorful plush seating to starboard around a wooden coffee table, which faces the TV and one of the latest video-audio systems. 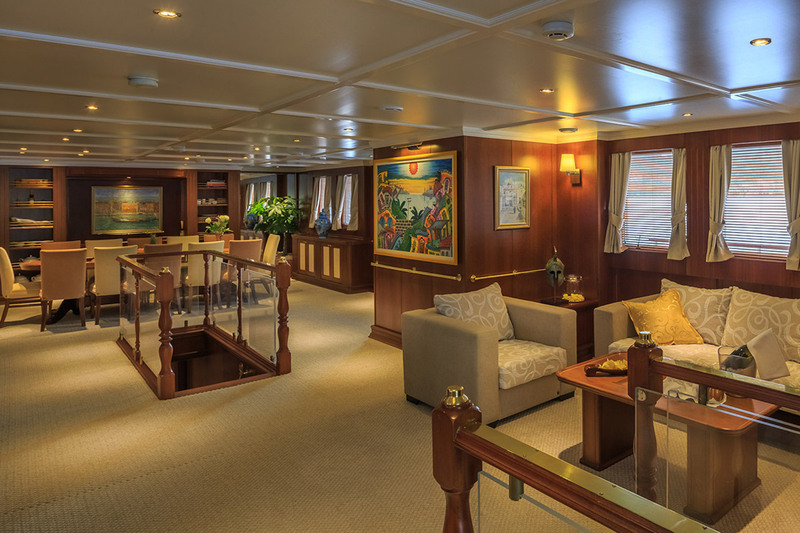 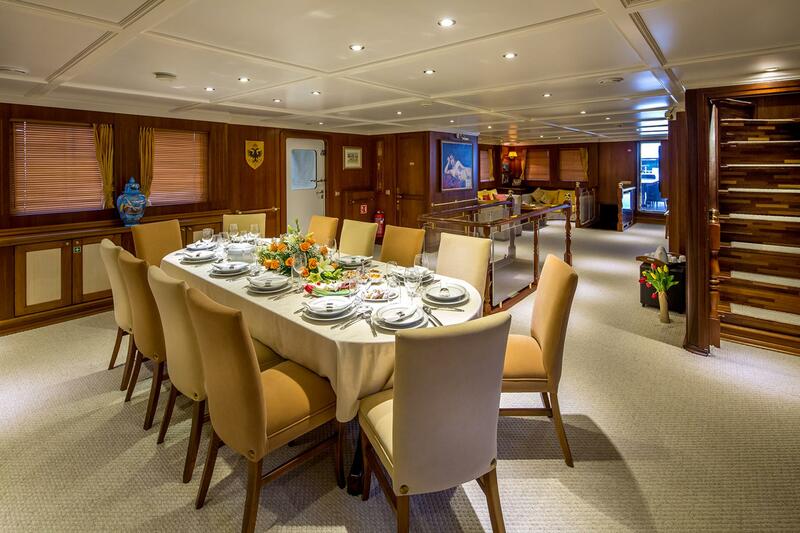 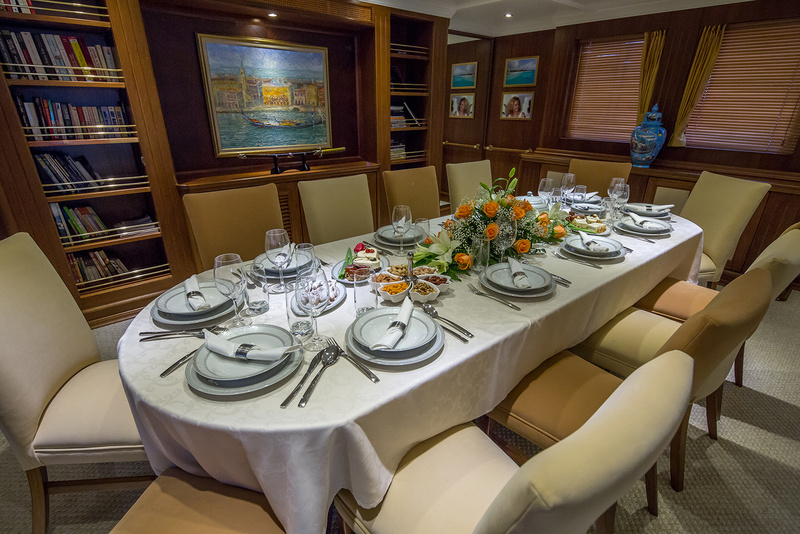 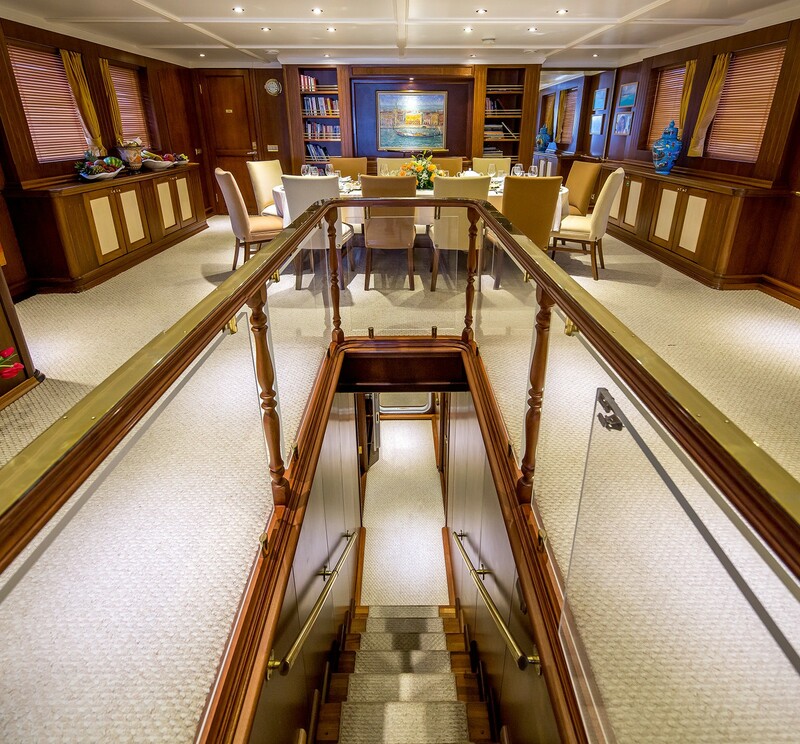 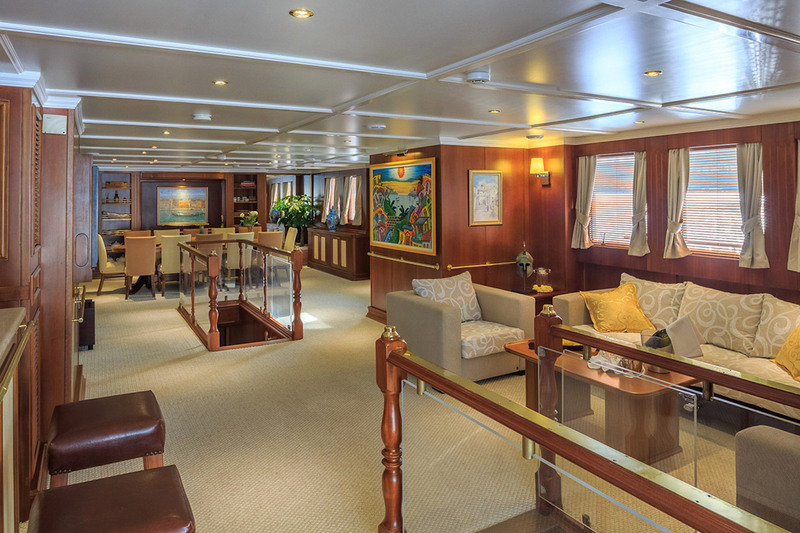 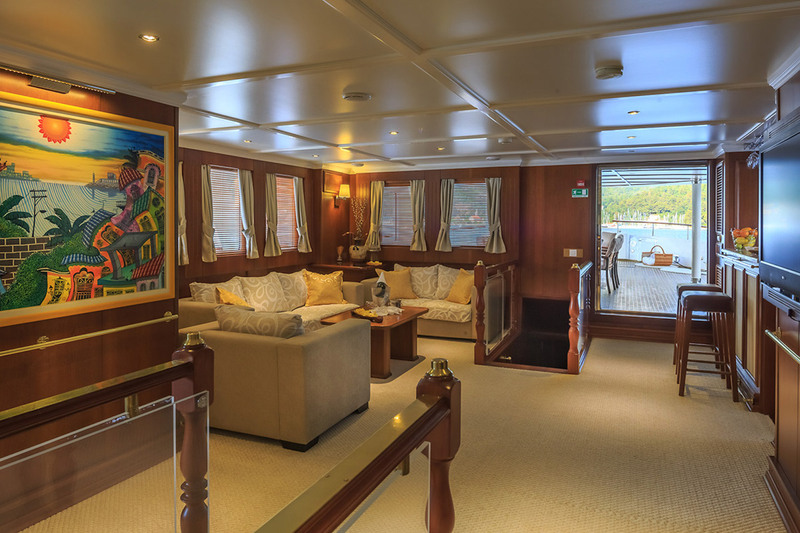 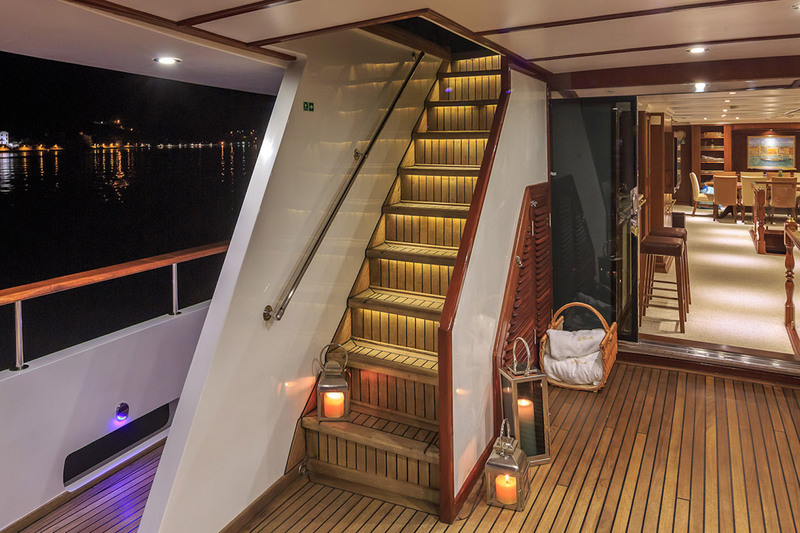 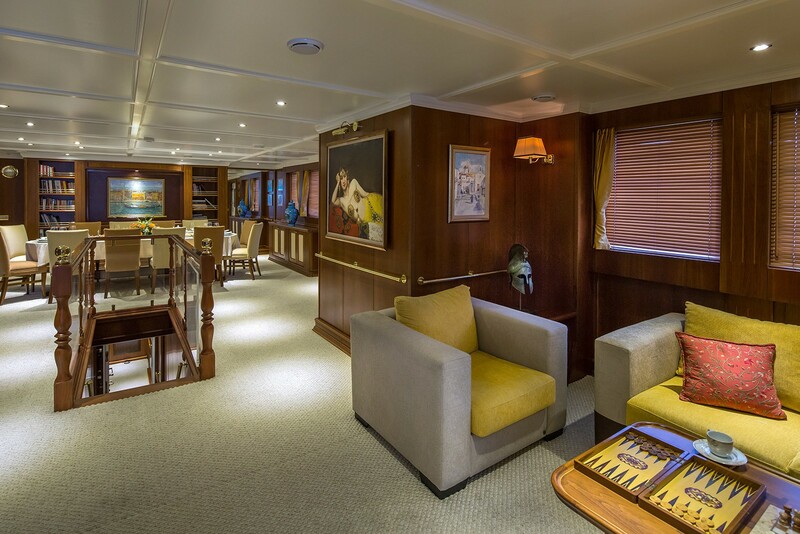 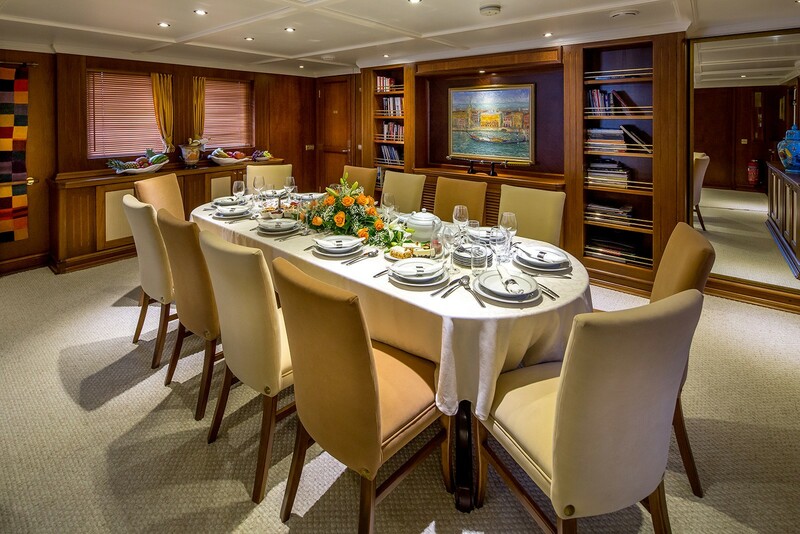 Guests can then access six double cabins through a central staircase down to the lower deck, or head forward to the formal dining area. 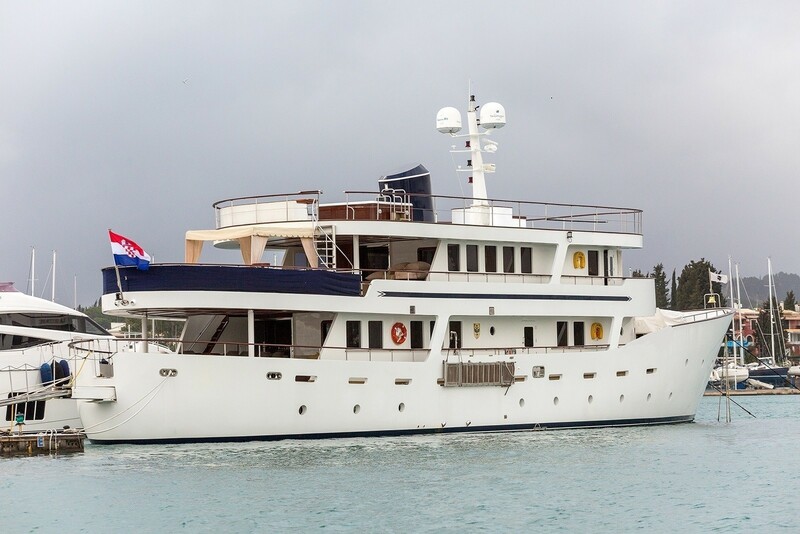 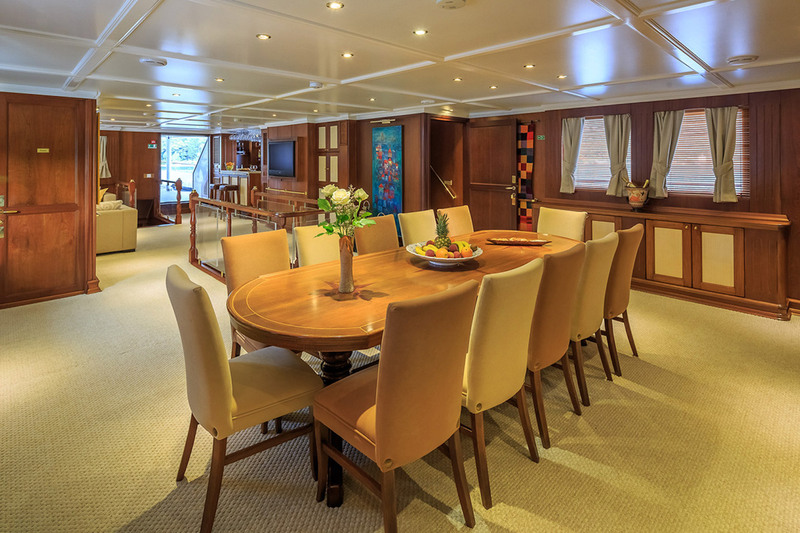 This, in turn, leads either up to the master suite with its’ 43m2 office and private access to the sundeck, or into the fully equipped galley with corner seating and table. 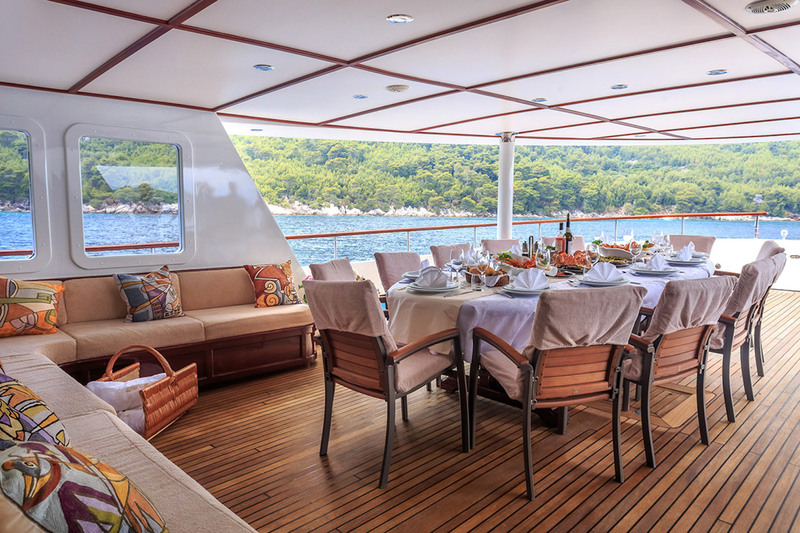 This motor yacht's exterior space is composed of substantial teak decks with multiple areas to sunbathe, dine and relax comfortably. 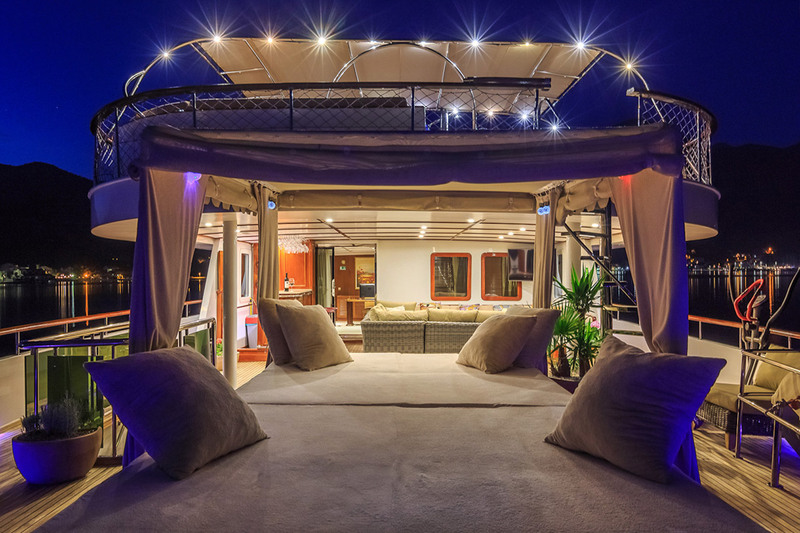 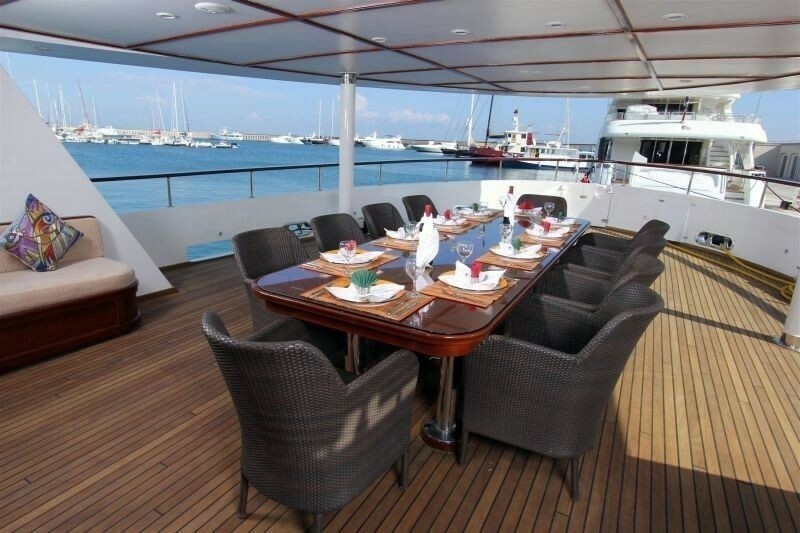 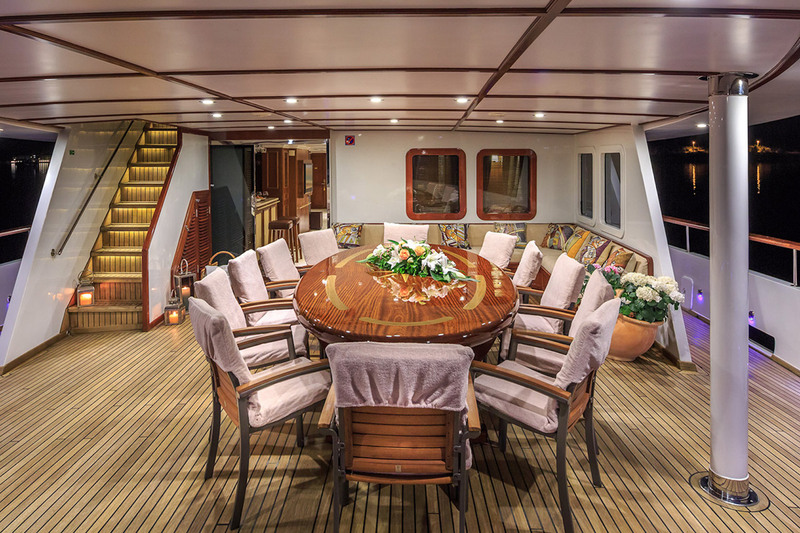 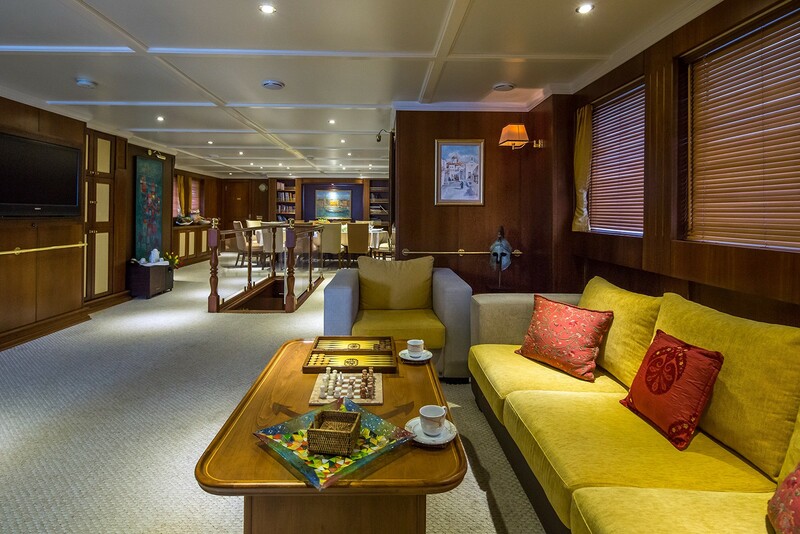 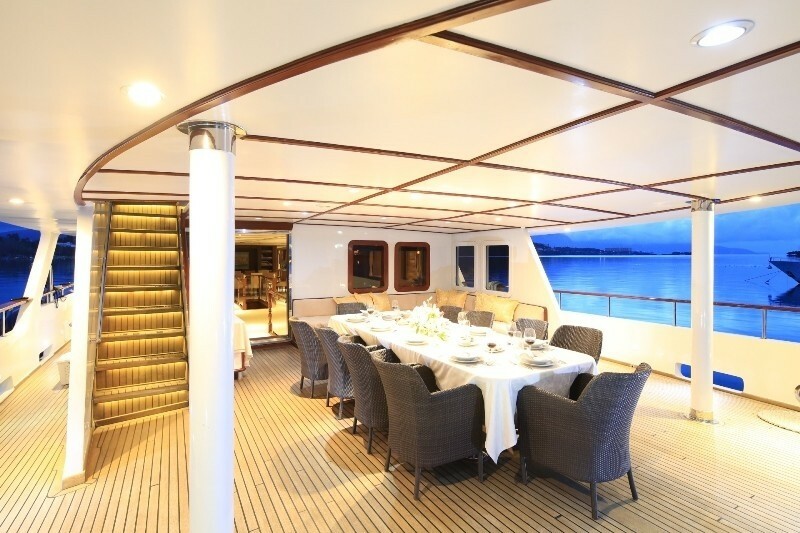 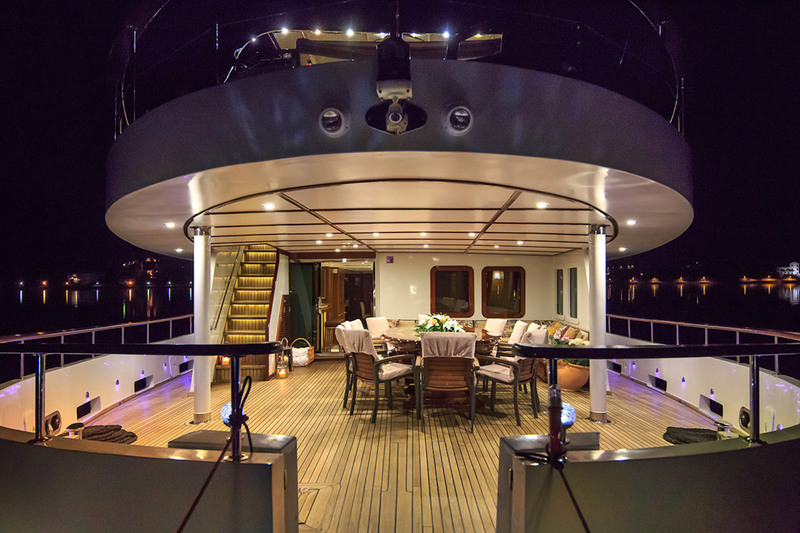 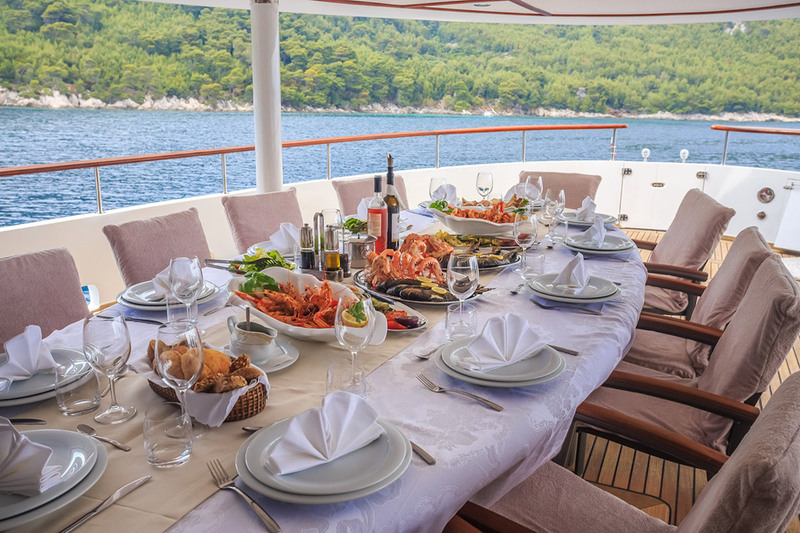 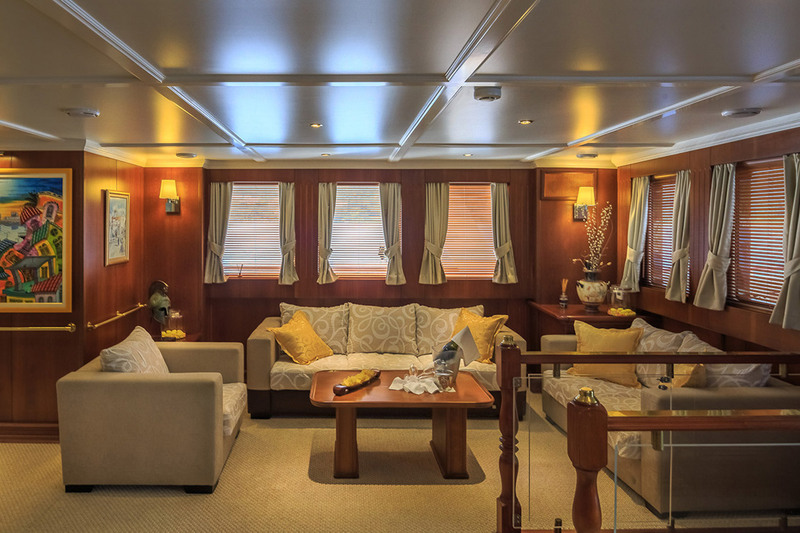 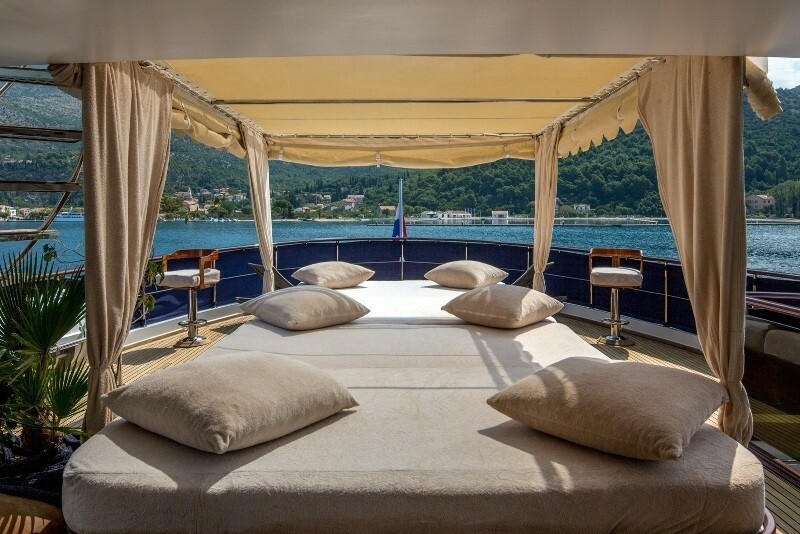 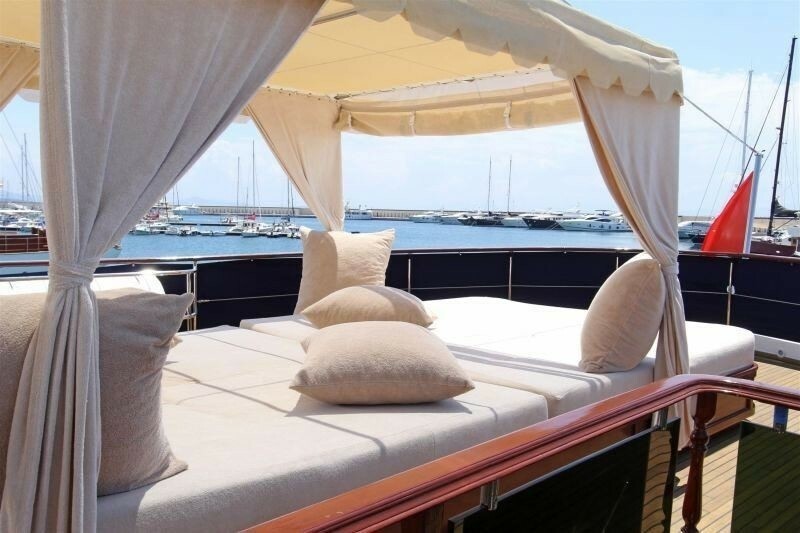 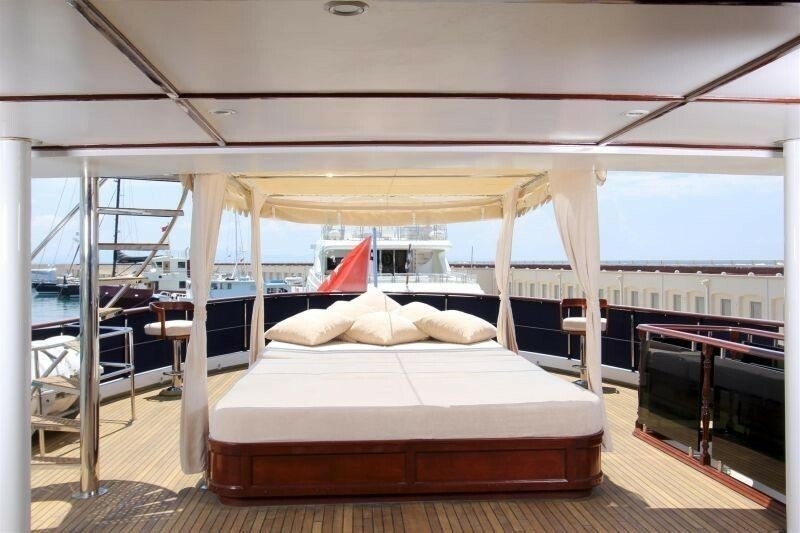 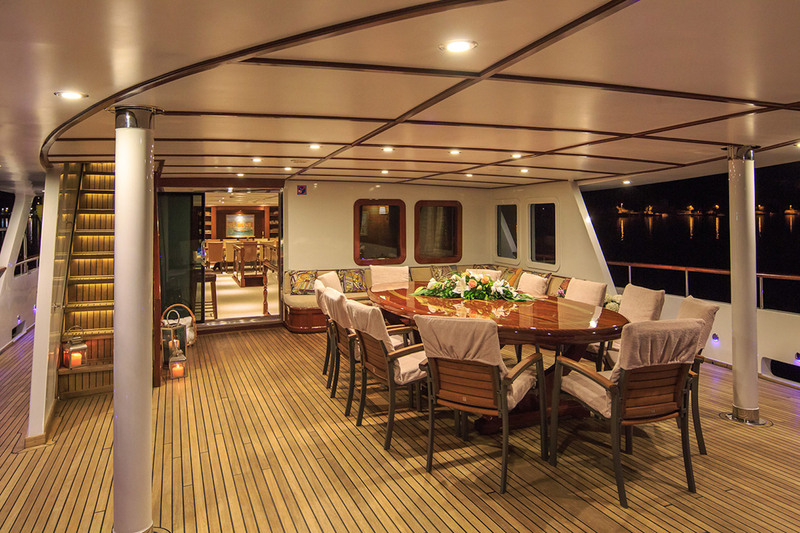 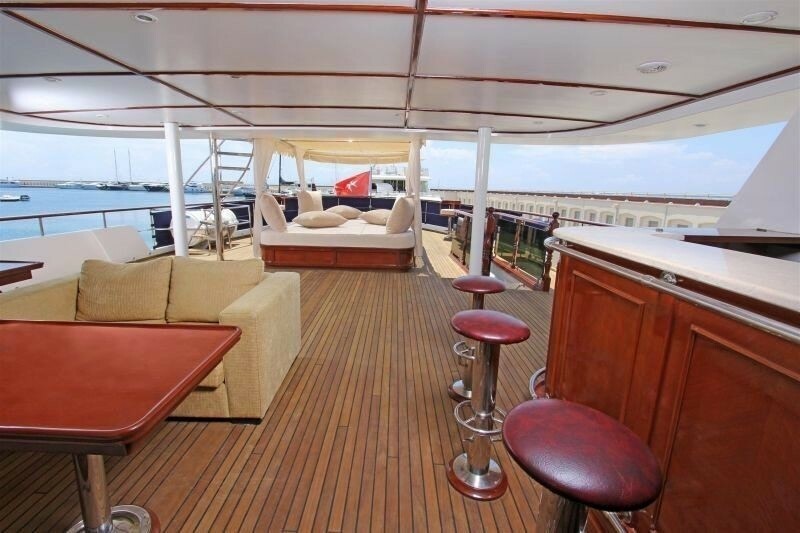 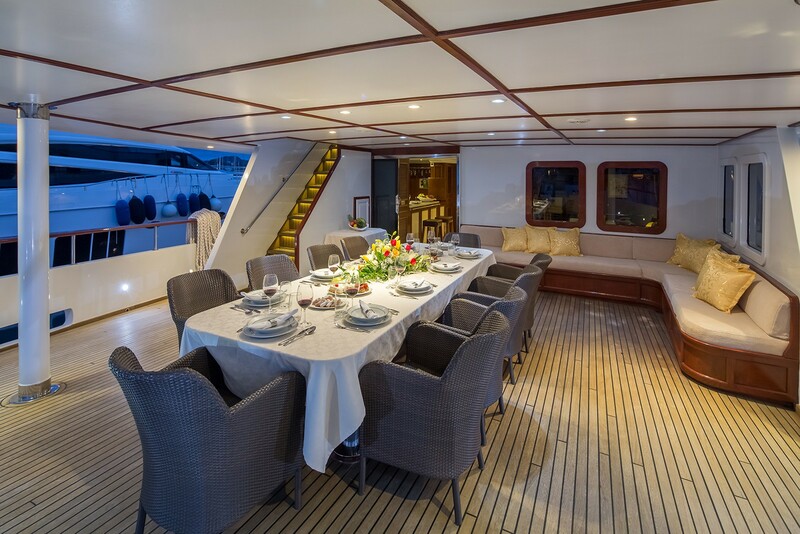 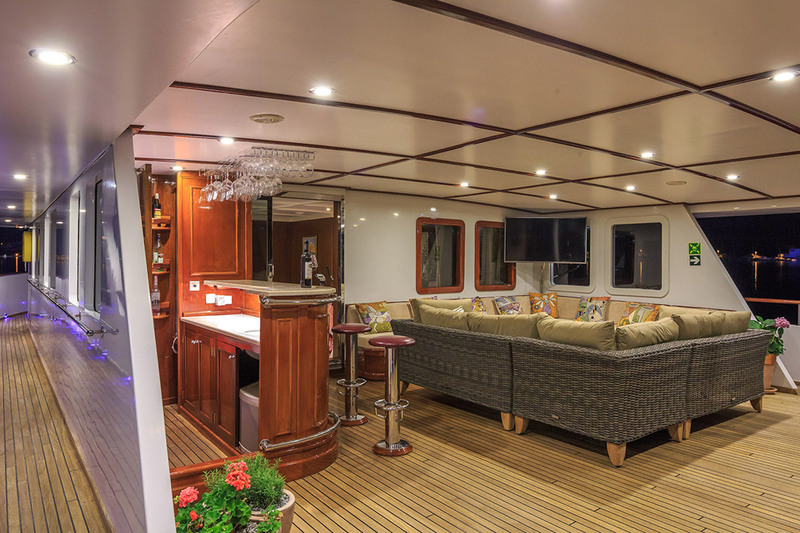 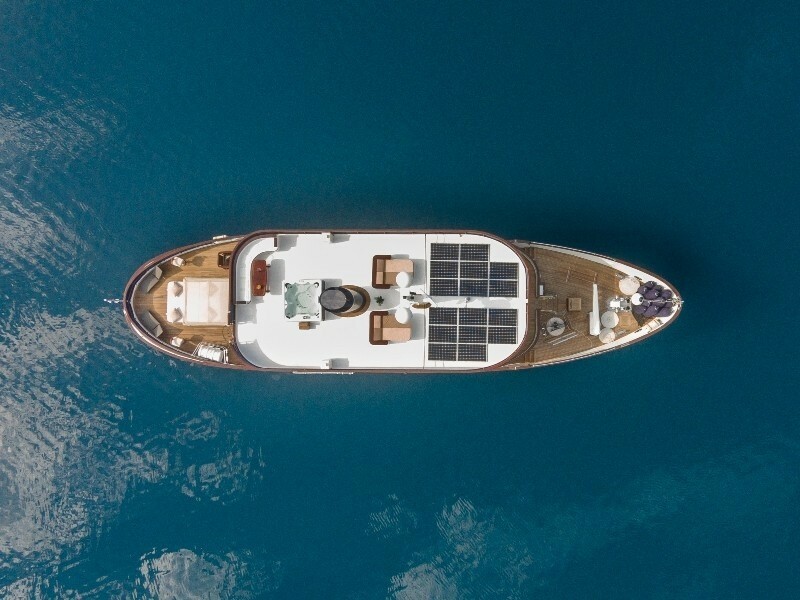 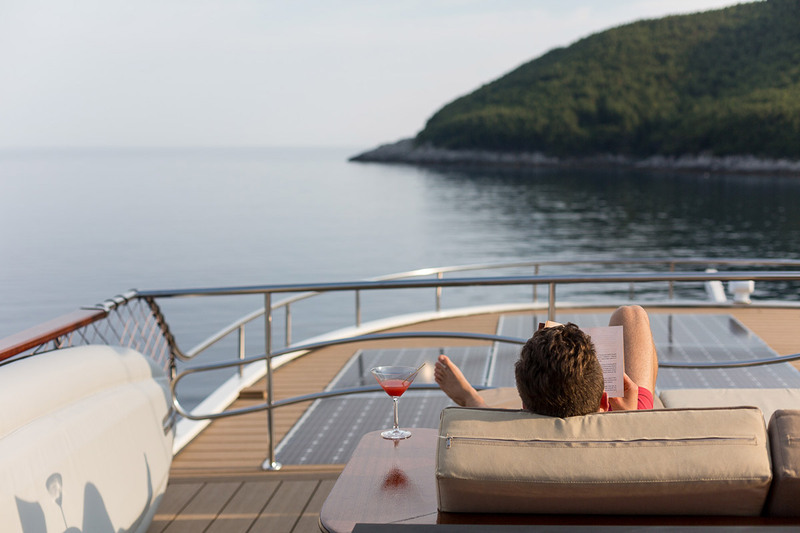 The shaded main deck aft is quite impressive and allows guests to sit back and enjoy aperitifs, or dine al fresco around a large table with chairs. 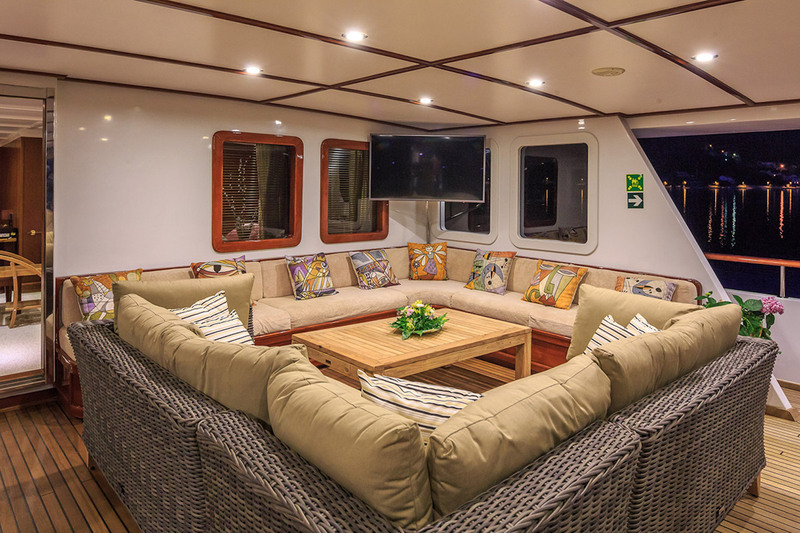 The upper deck aft has a double canopy bed, generous sofas around an L shape table, as well as a nice corner bar with stools, ideal for socializing. 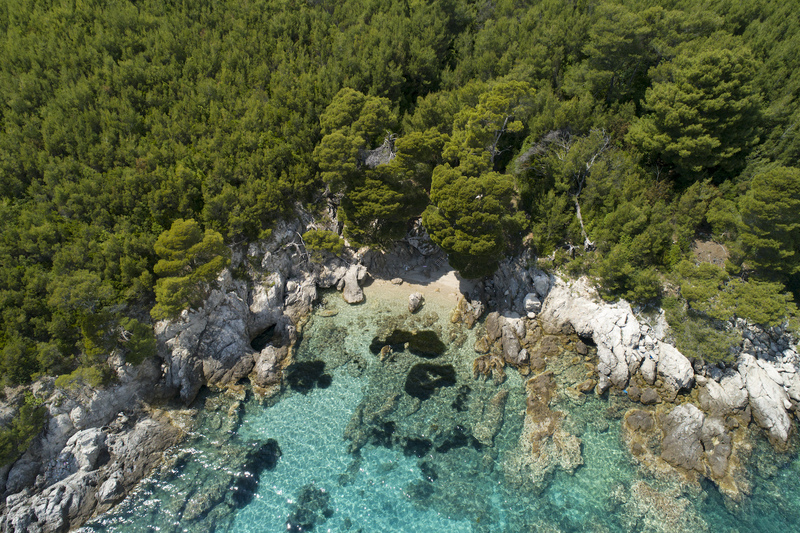 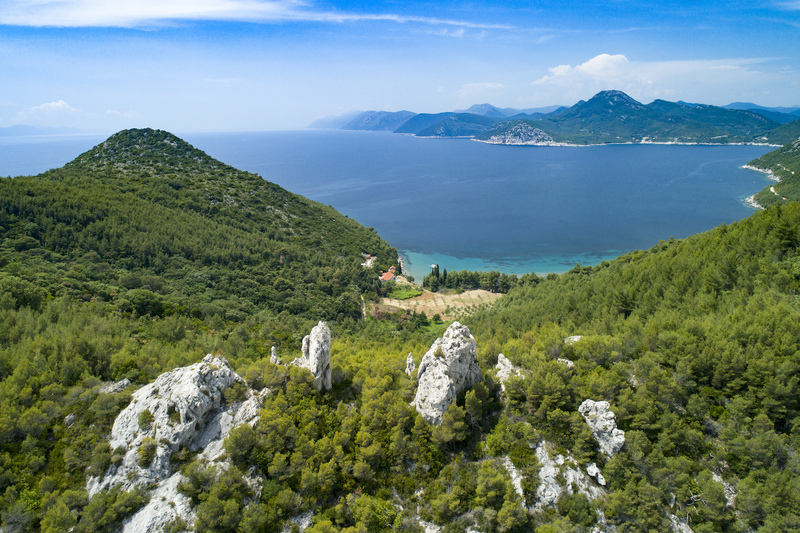 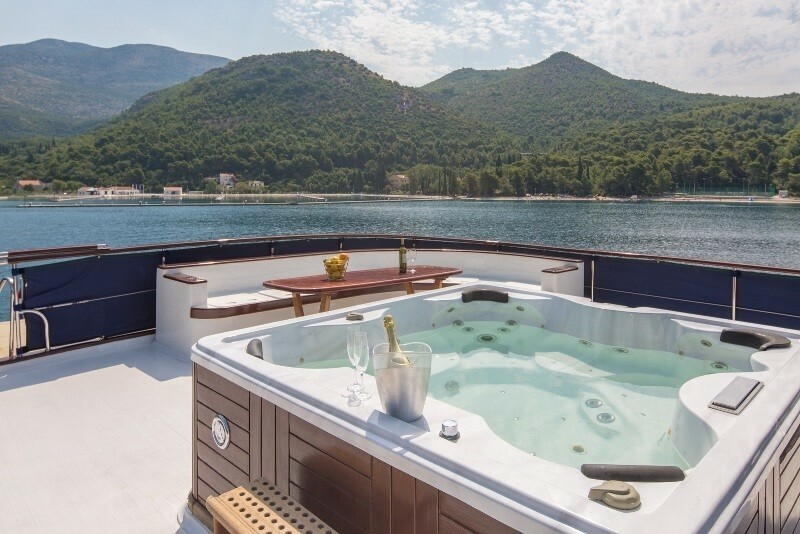 It leads up to the sundeck which is equally spacious and where there are multiple entertainment possibilities such as relaxing in the Jacuzzi, al fresco dining or simply soaking up the sun on the considerable sun pads. 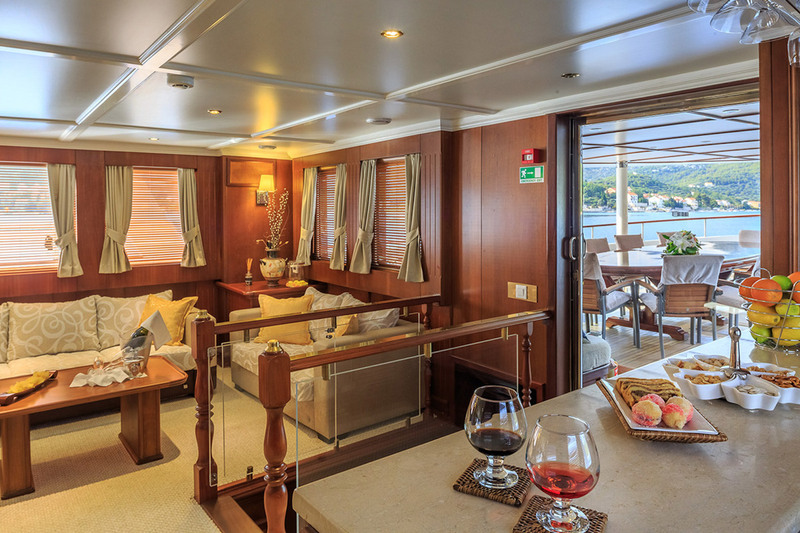 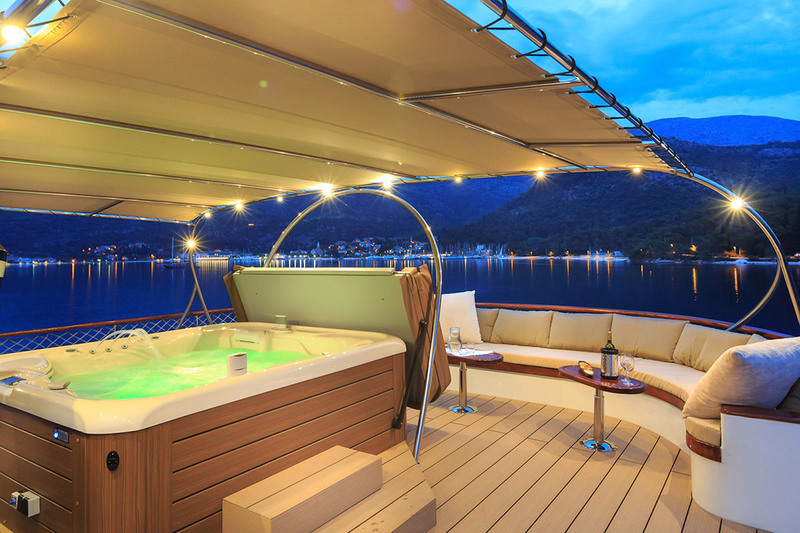 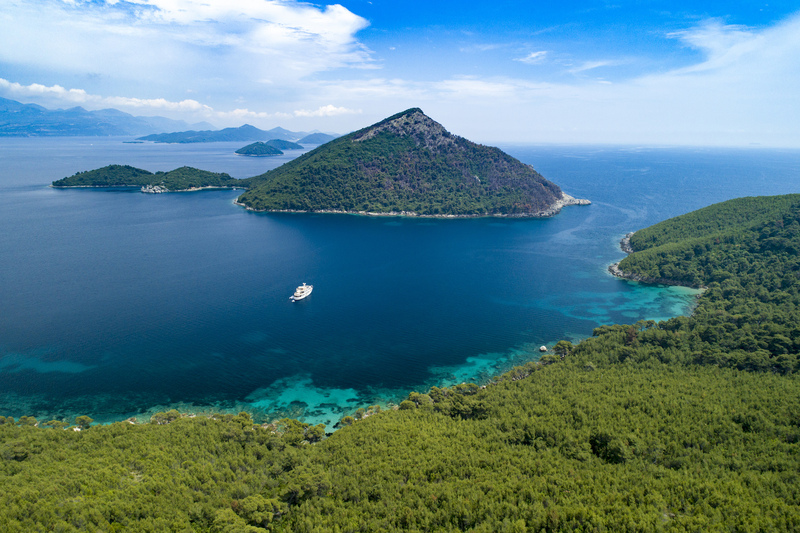 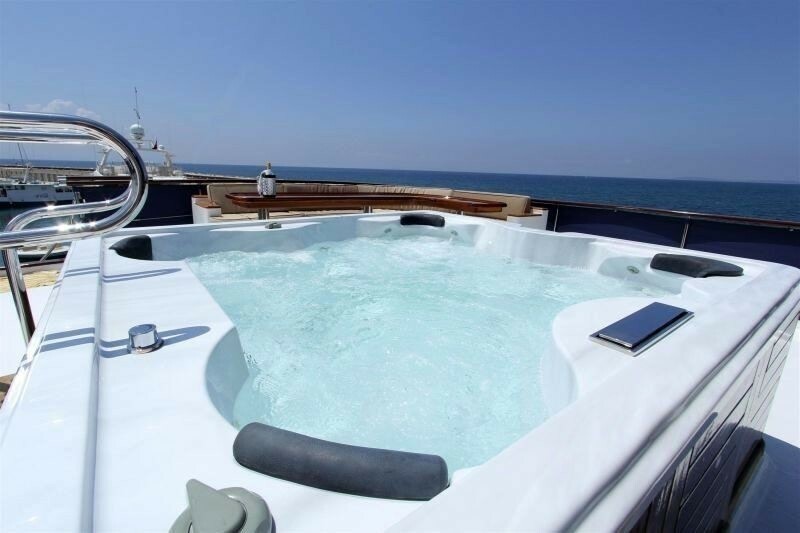 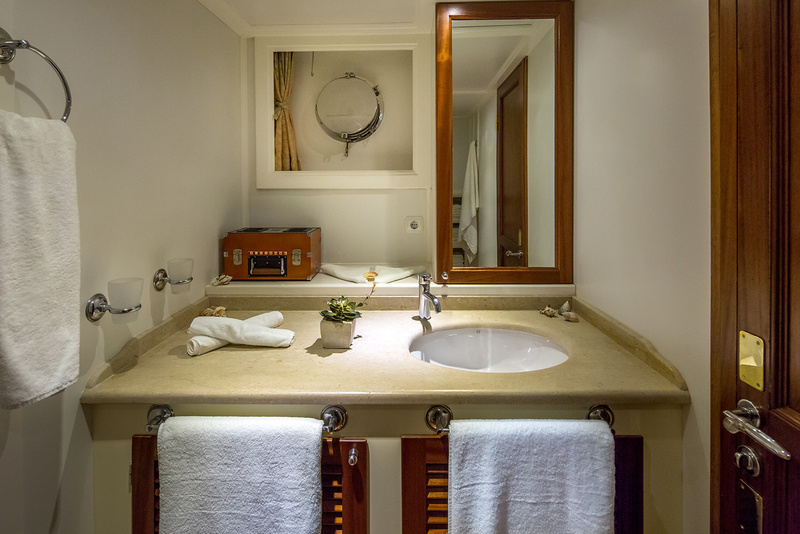 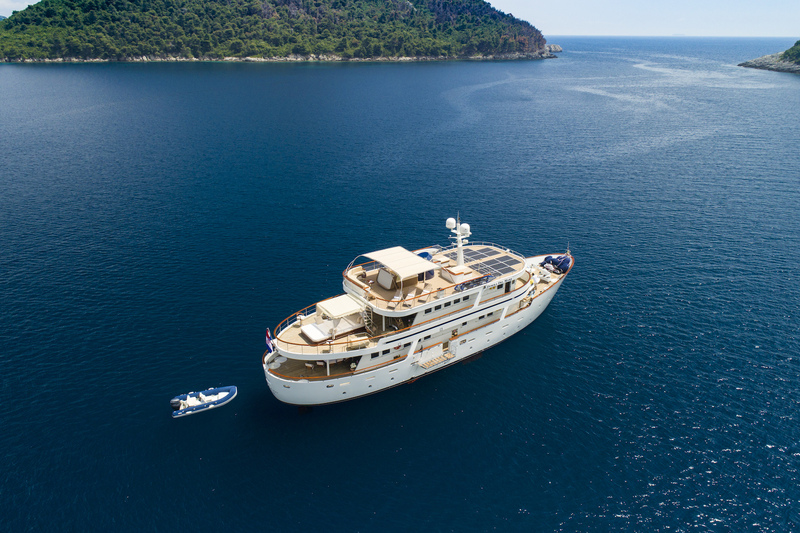 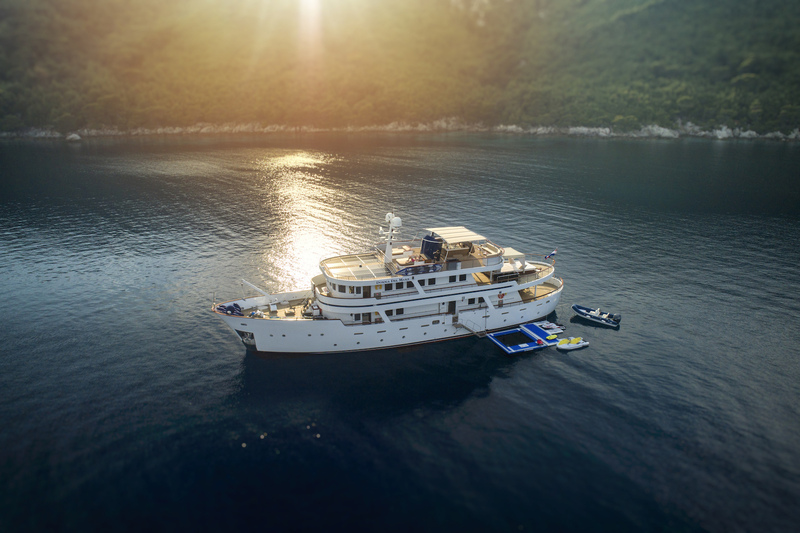 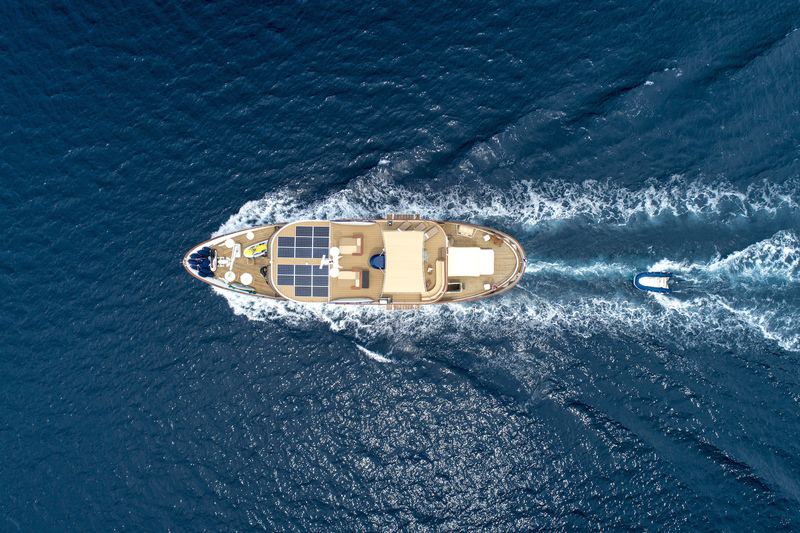 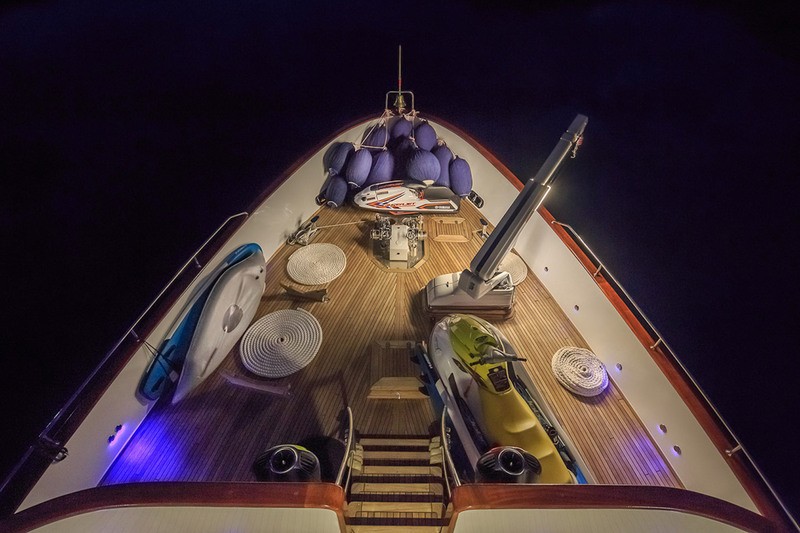 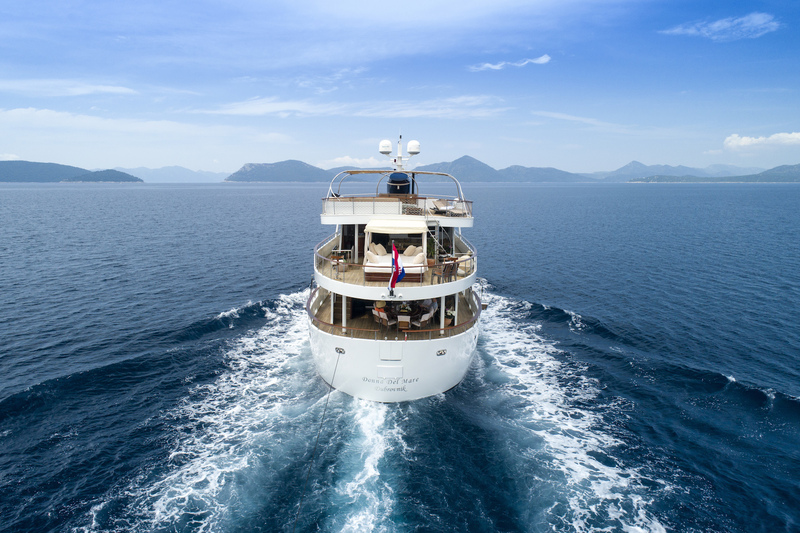 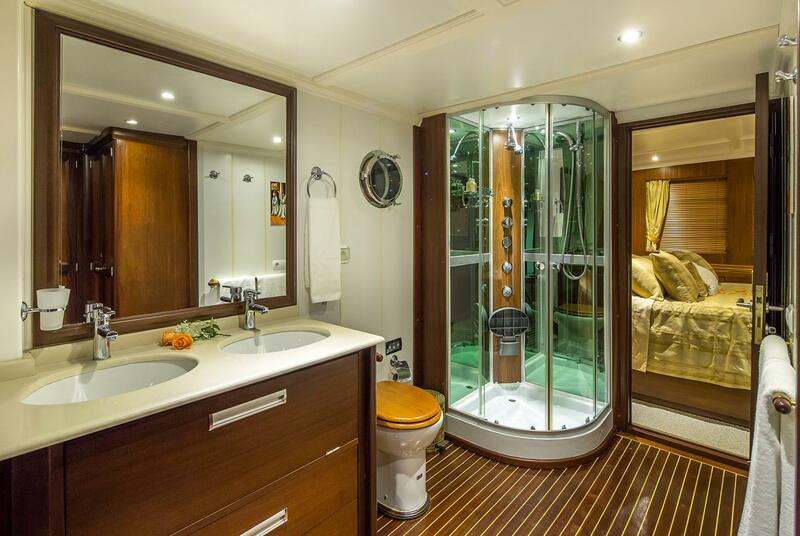 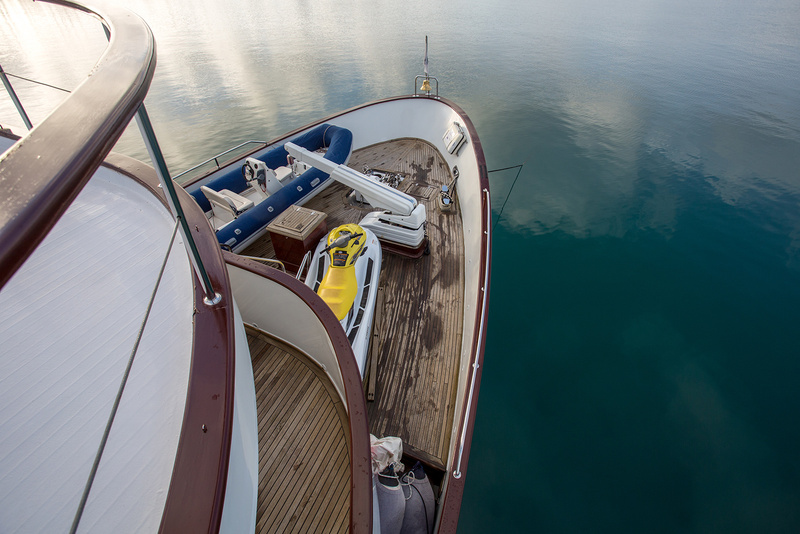 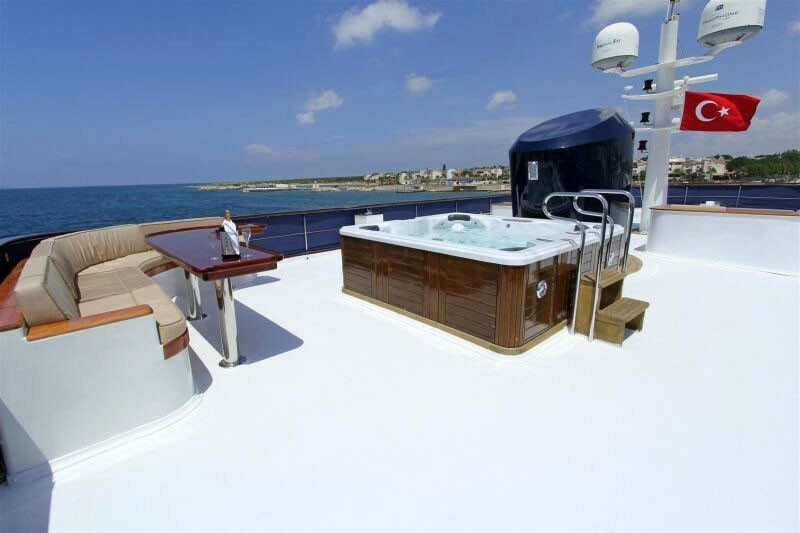 Guests on board the DONNA DEL MARE yacht will also be surprised by the impressive assortment of water toys that is offered, such as the tender, Jet Skis and Seabobs, to name a few. 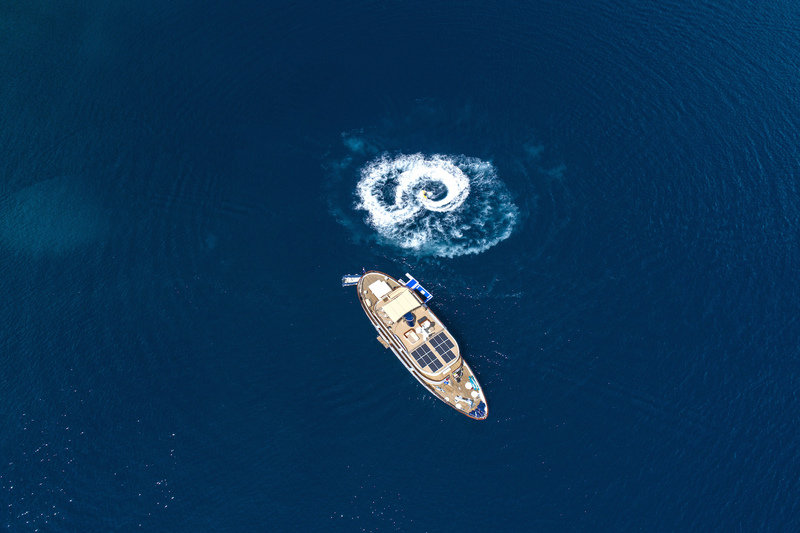 Powered by 2 x MAN 520hp engines, this RINA class yacht cruises at speeds of 11 knots with top speeds of 13 knots. 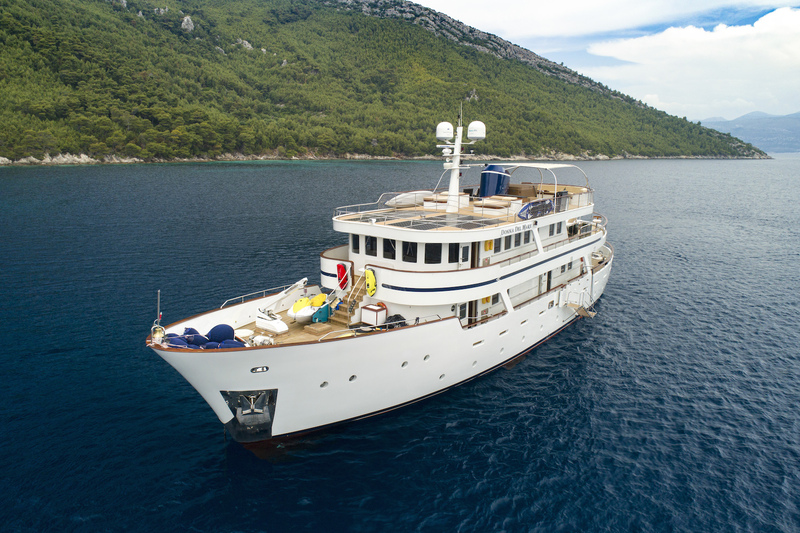 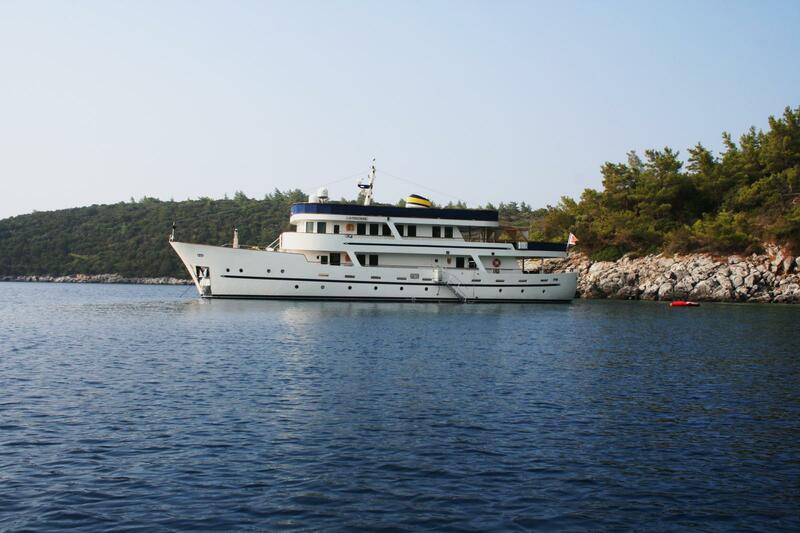 She is a full displacement yacht and has a Steel superstructure and stabilizers both at anchor and underway for maximum comfort. 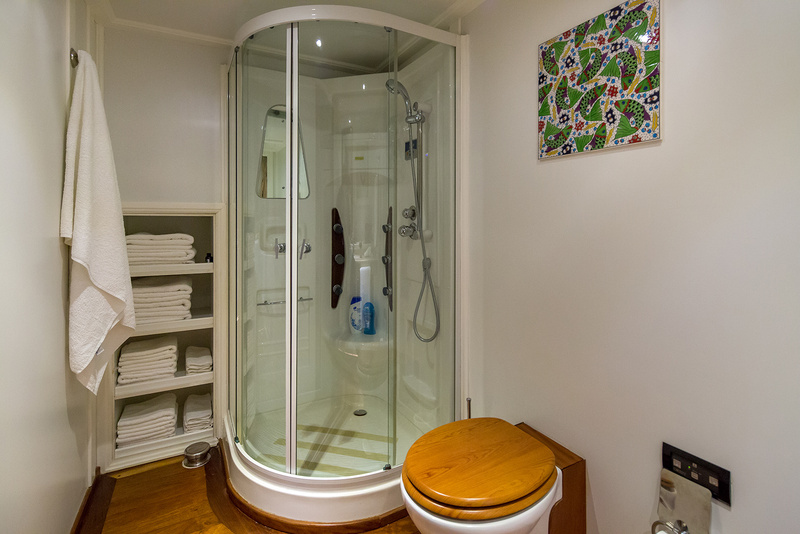 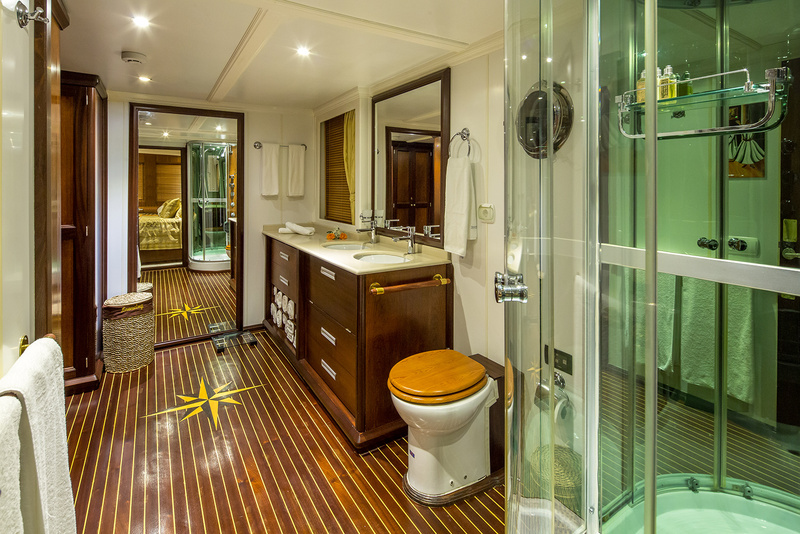 All the cabins comprise their own full bathroom, TV, and Hi-Fi. 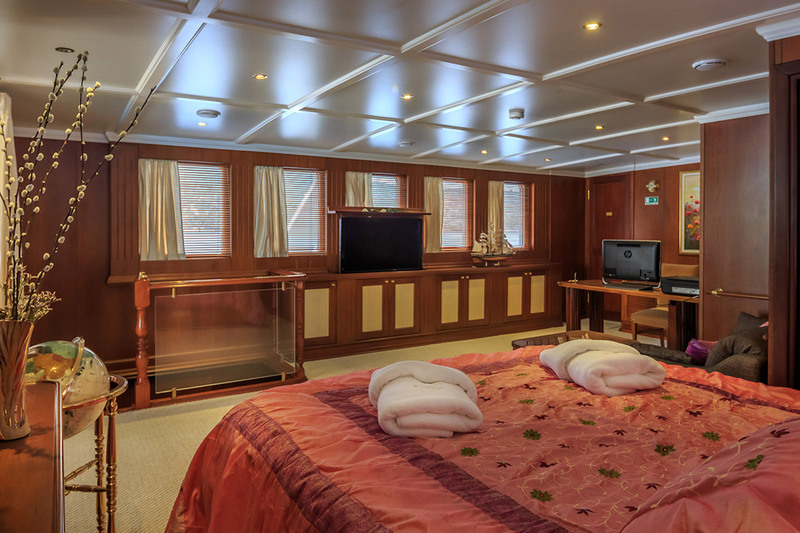 The master suite, located on the upper deck, boasts a King Size bed, two sofas around a coffee table, a desk, a closet, and a safe. 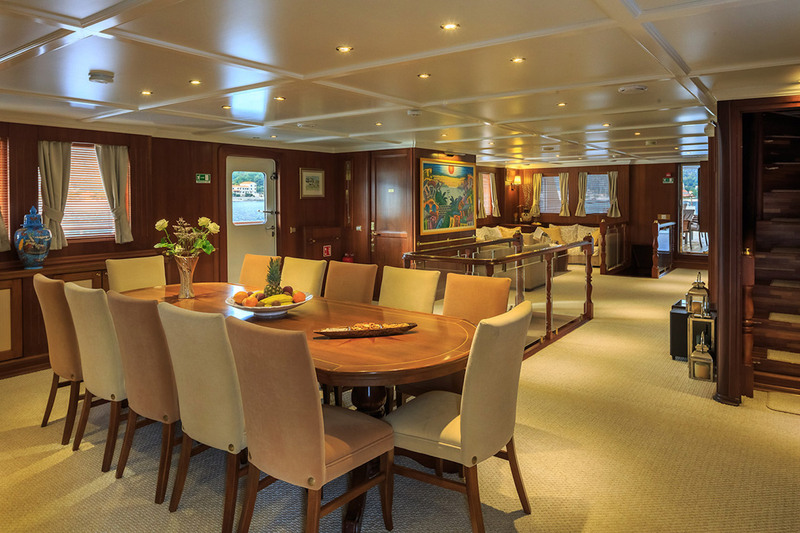 It also includes a vast 43m2 private office. 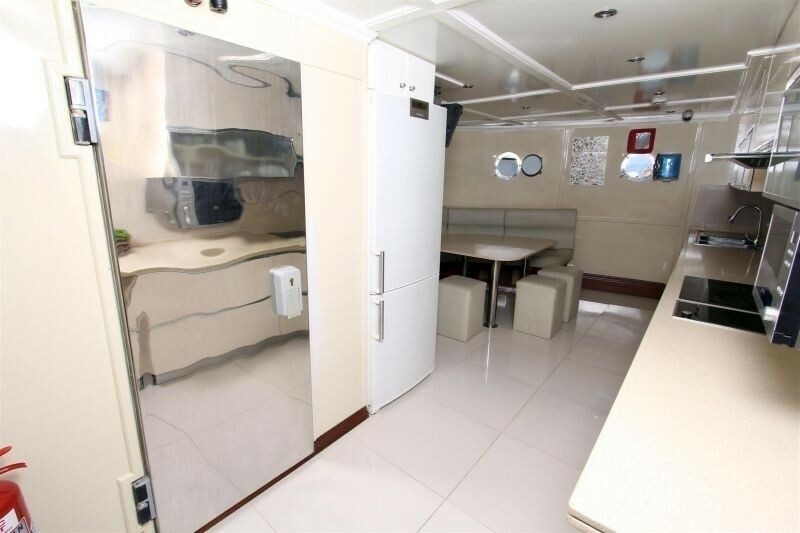 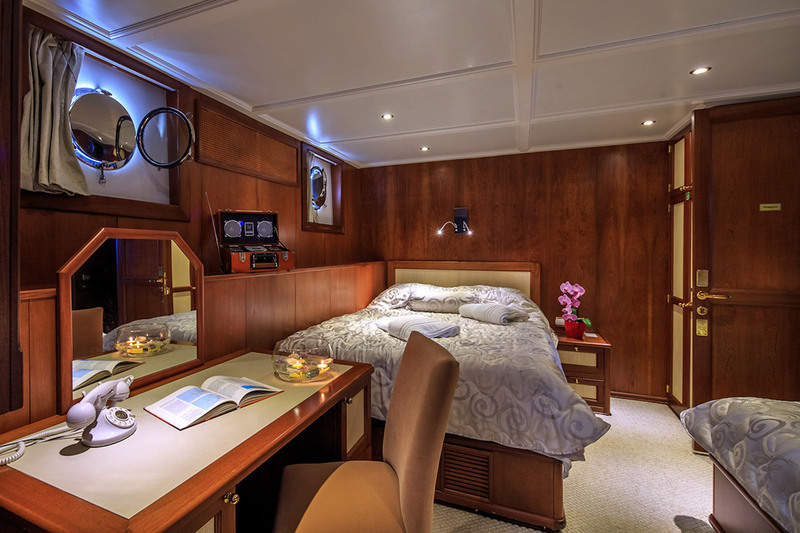 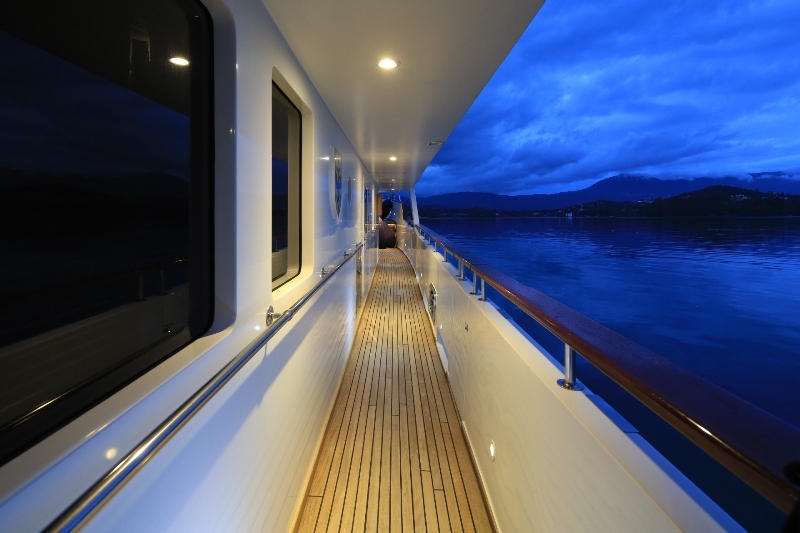 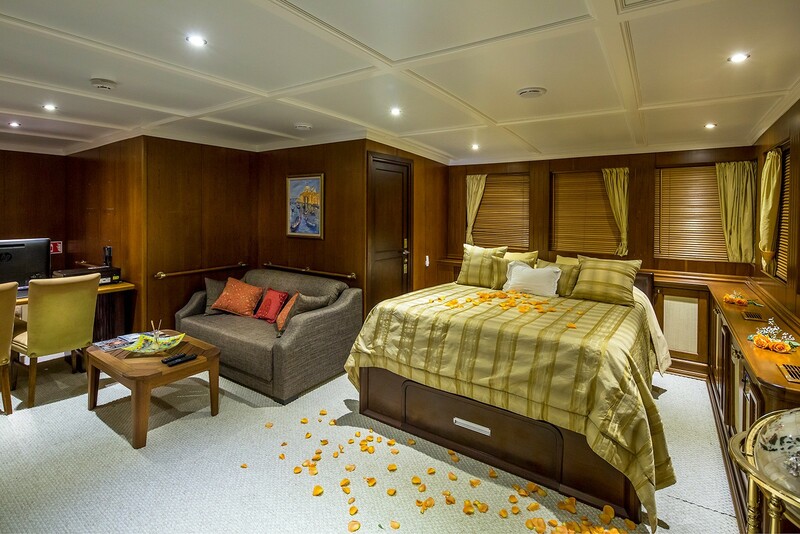 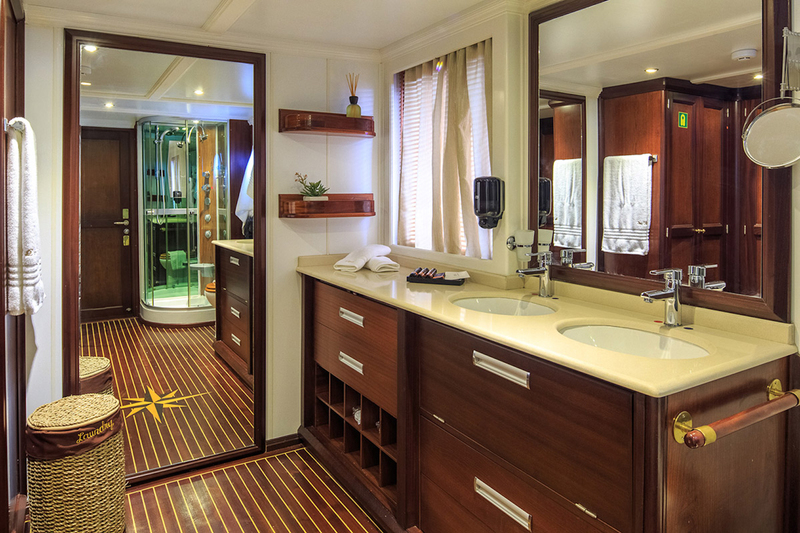 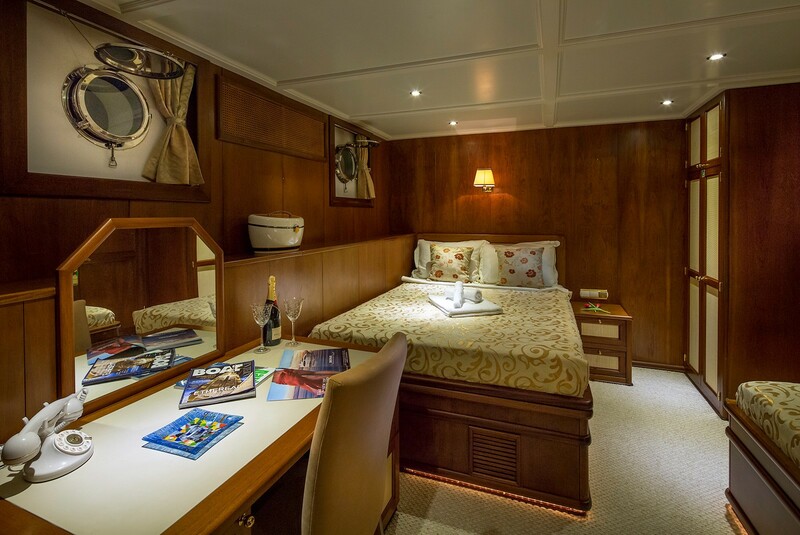 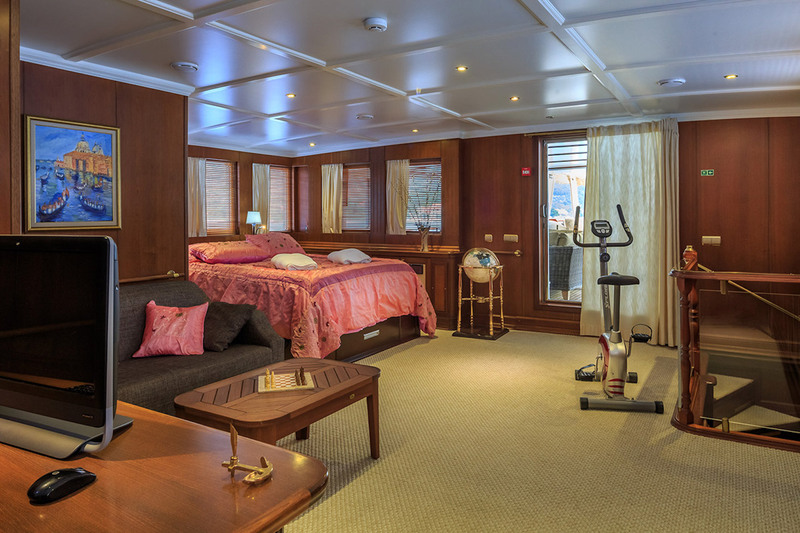 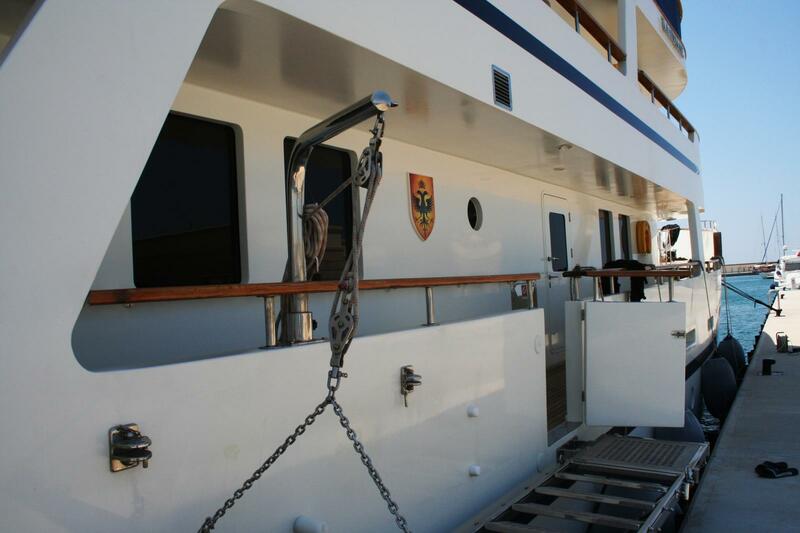 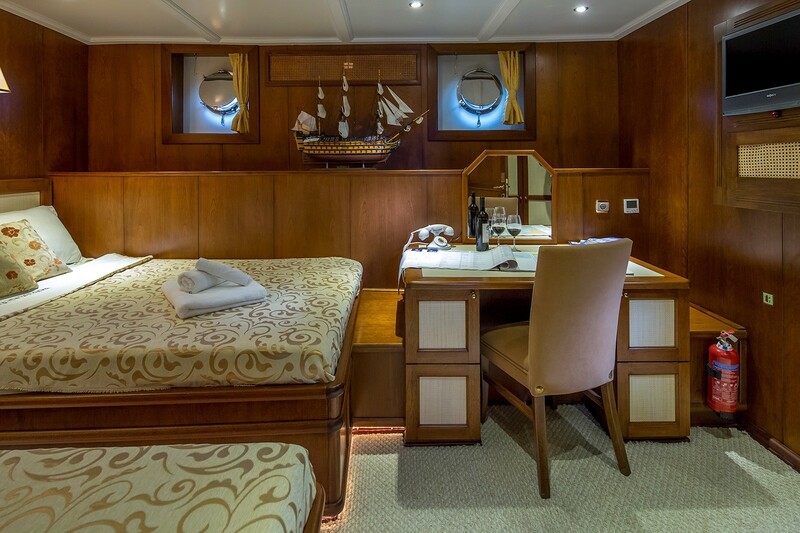 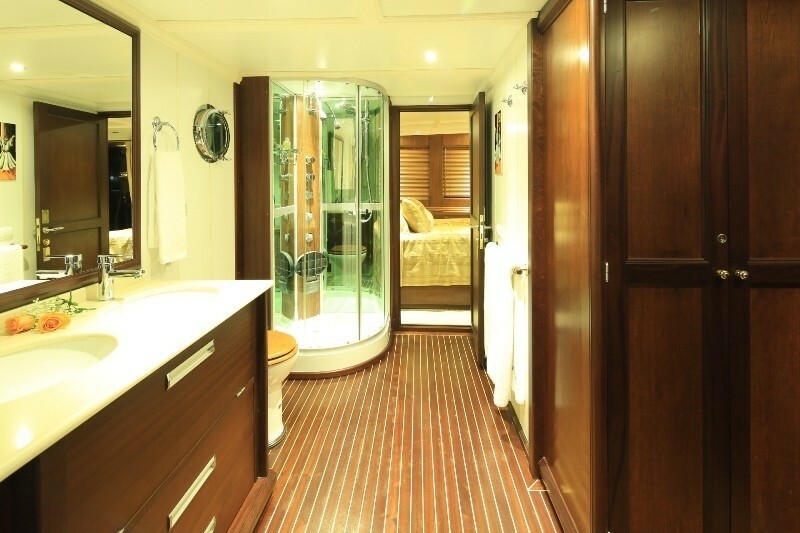 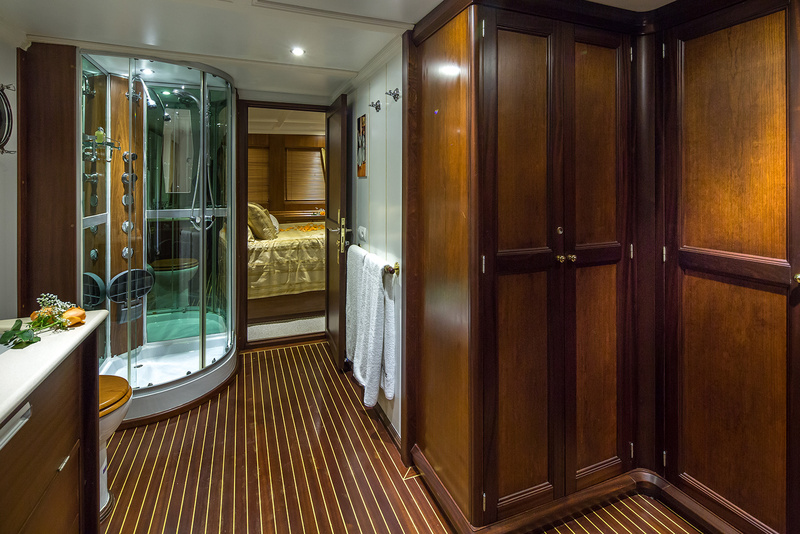 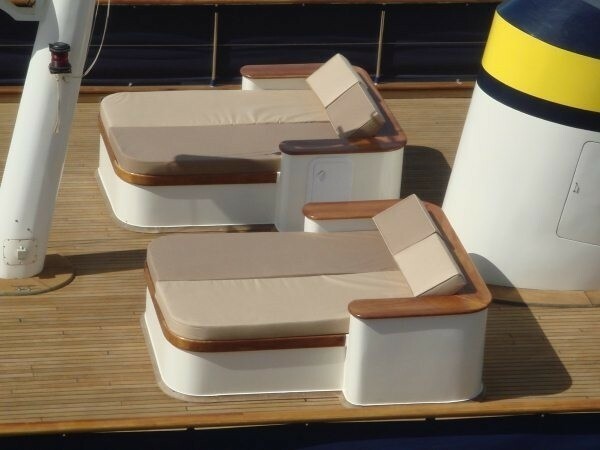 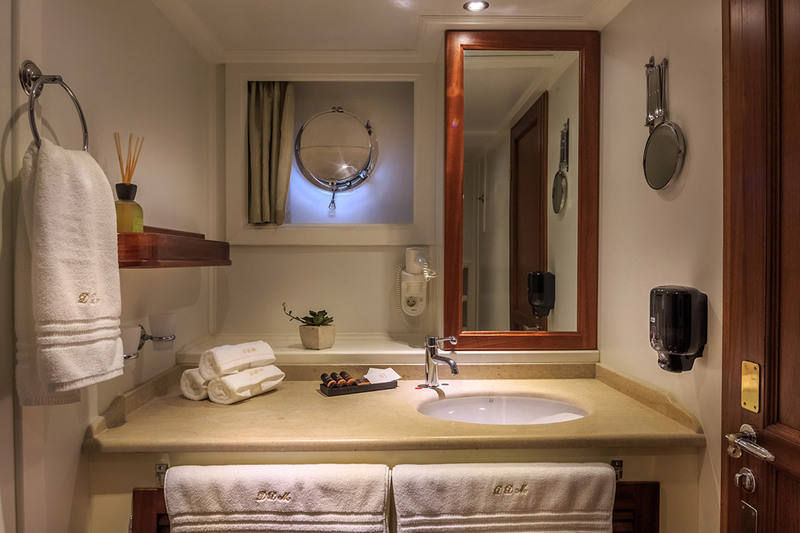 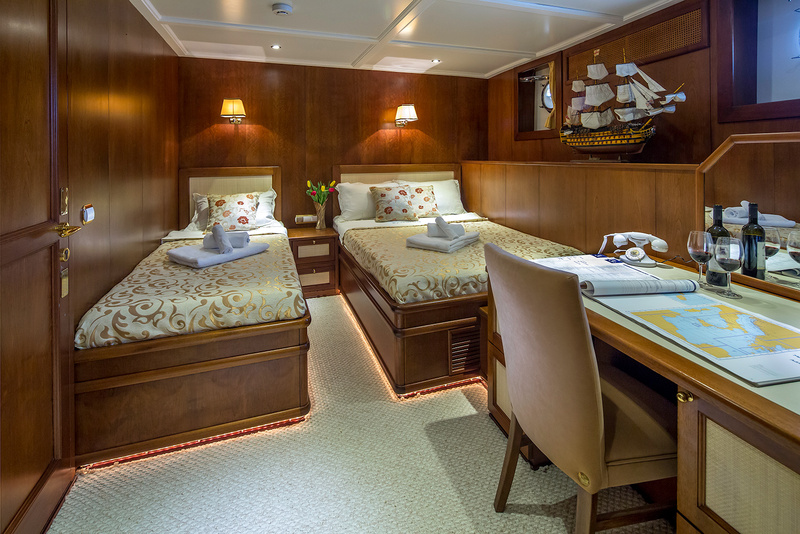 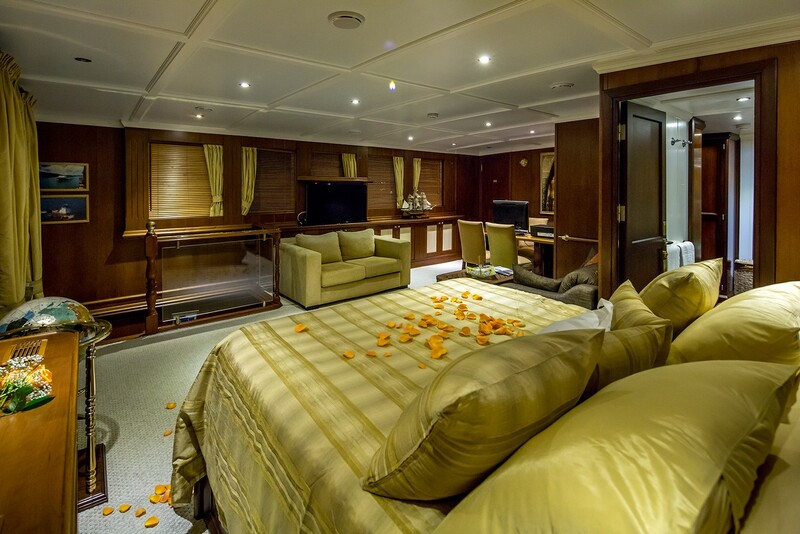 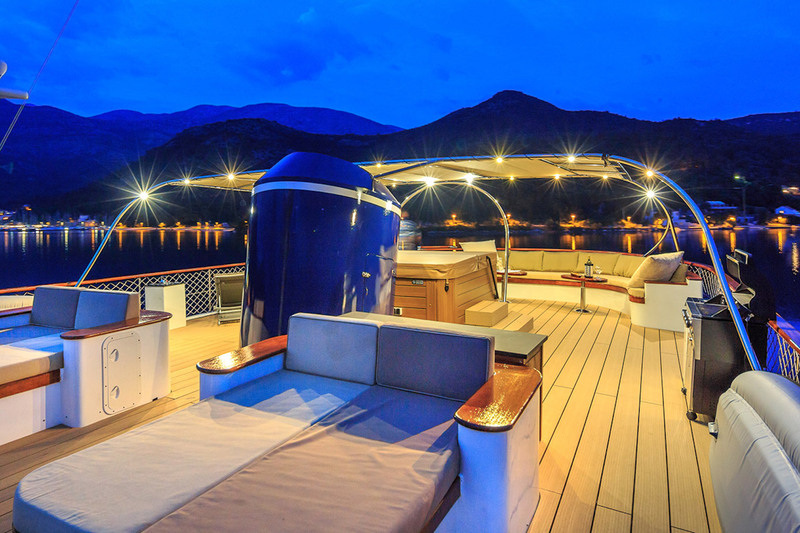 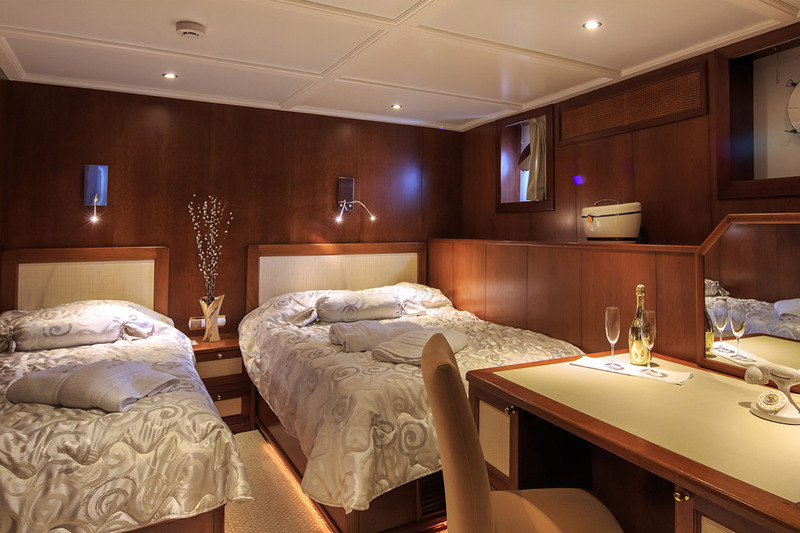 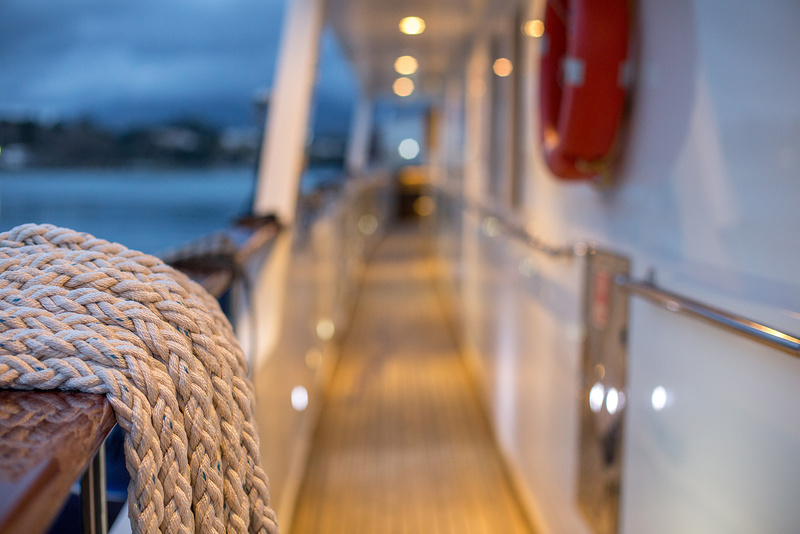 The 6 double cabins are on the lower deck, 5 of which offer a Queen Size bed plus an additional single bed, cabinets, and a desk, while the 6th one is a double cabin, with cabinets and a desk. 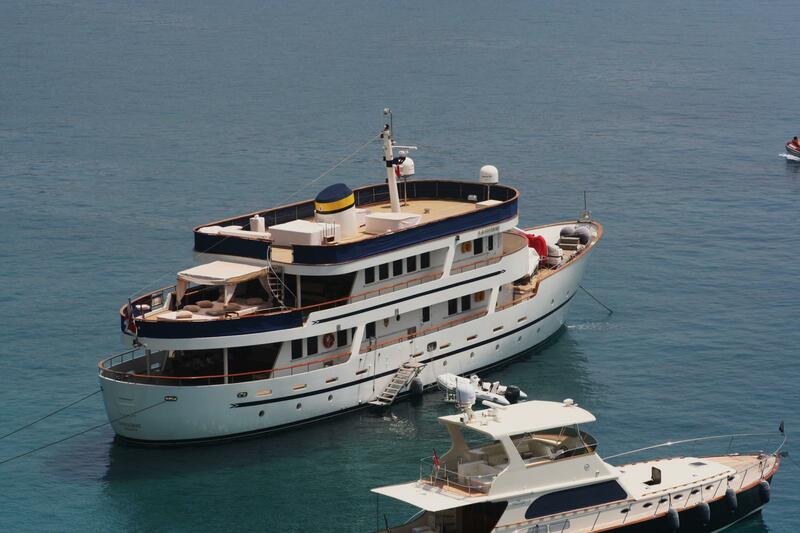 Tenders & Toys Tender 6 M with YAMAHA 100 H.P . 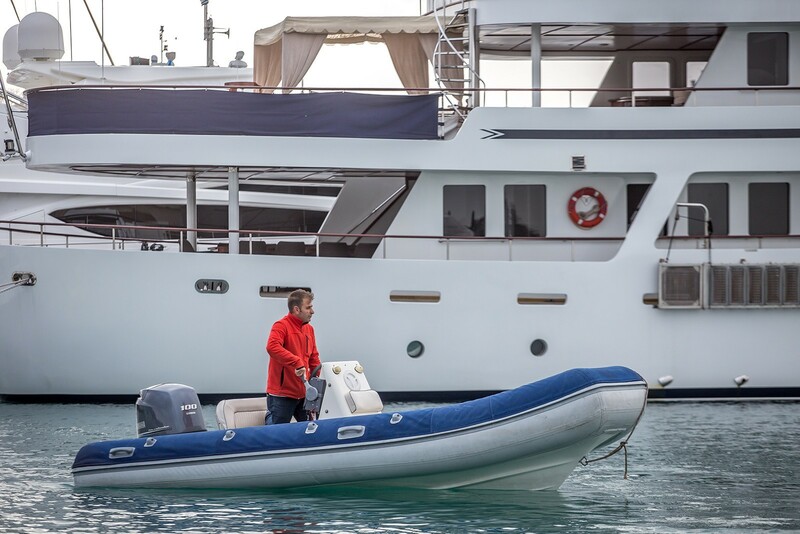 Yamaha 3 seat Jet Ski (with license). 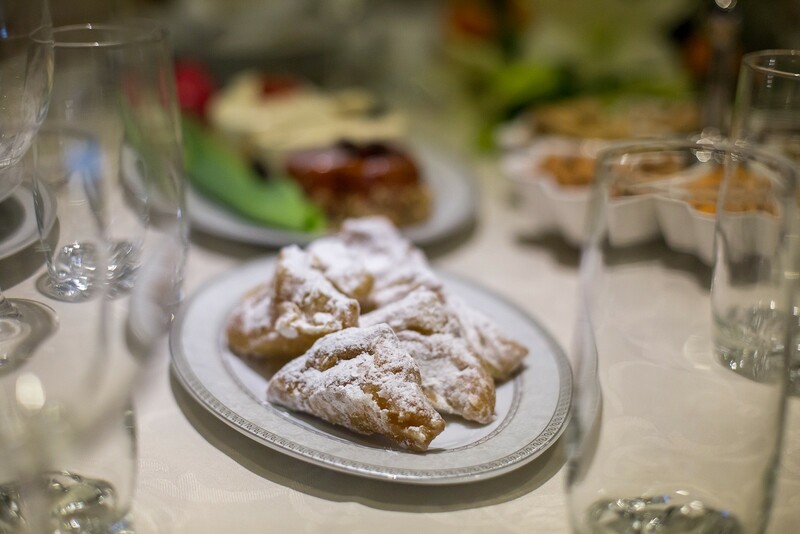 Donuts. 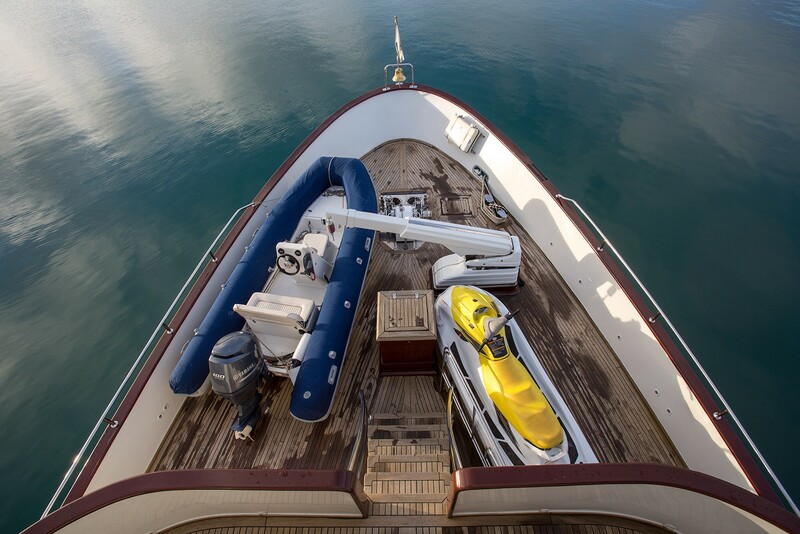 Water-ski´s. 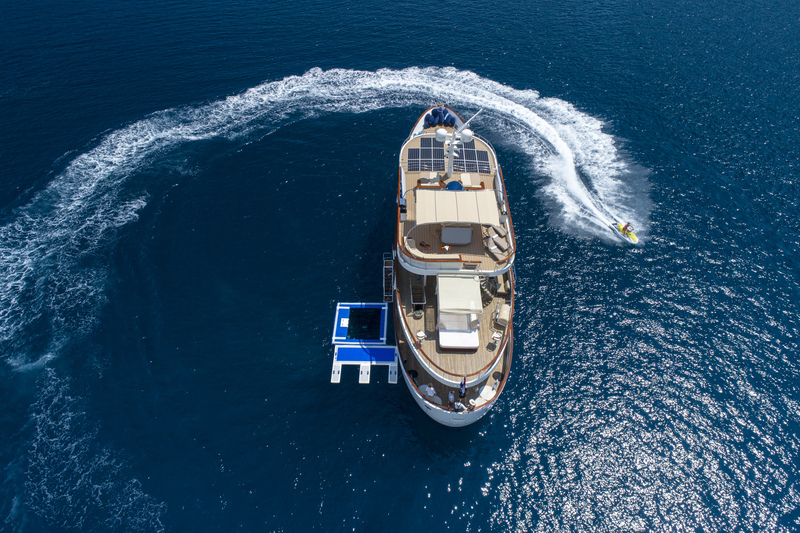 Wake board. 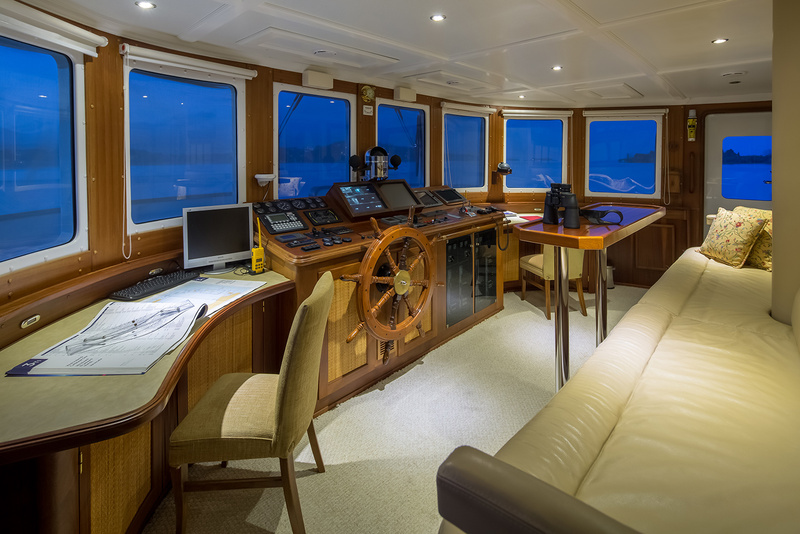 Communications Telephone in all cabins, salon , kitchen and decks. 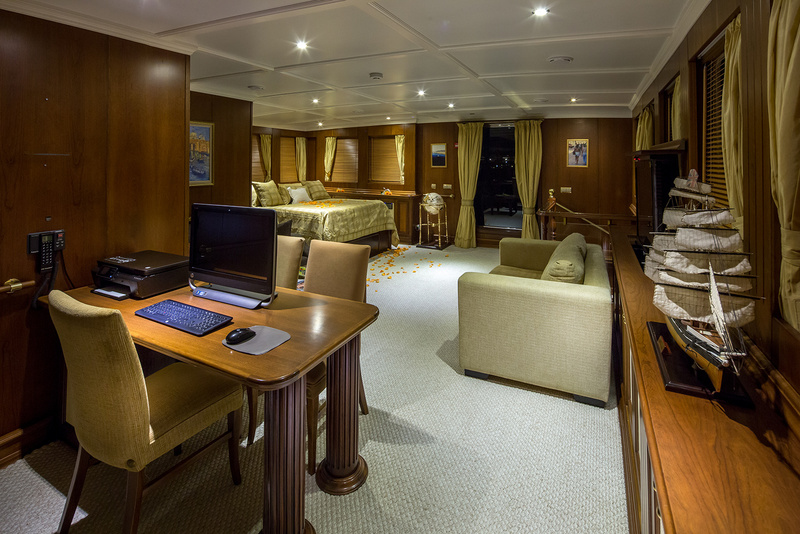 Wi-fi for 20 computers. 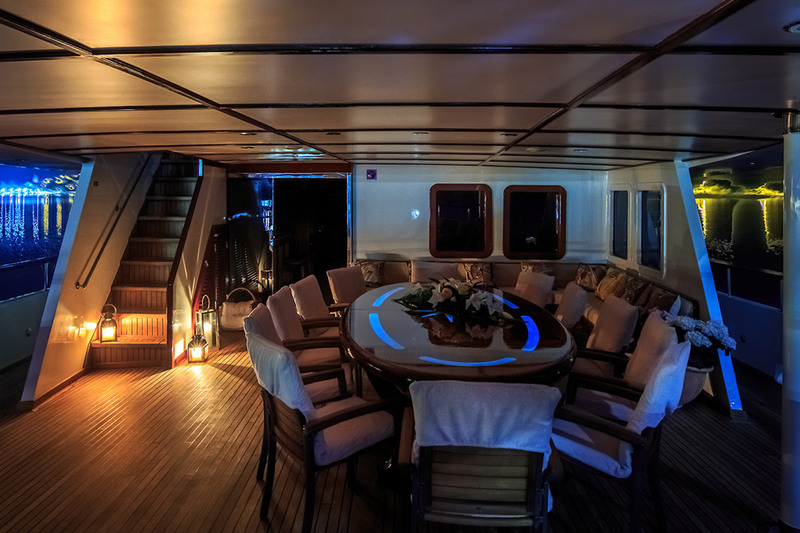 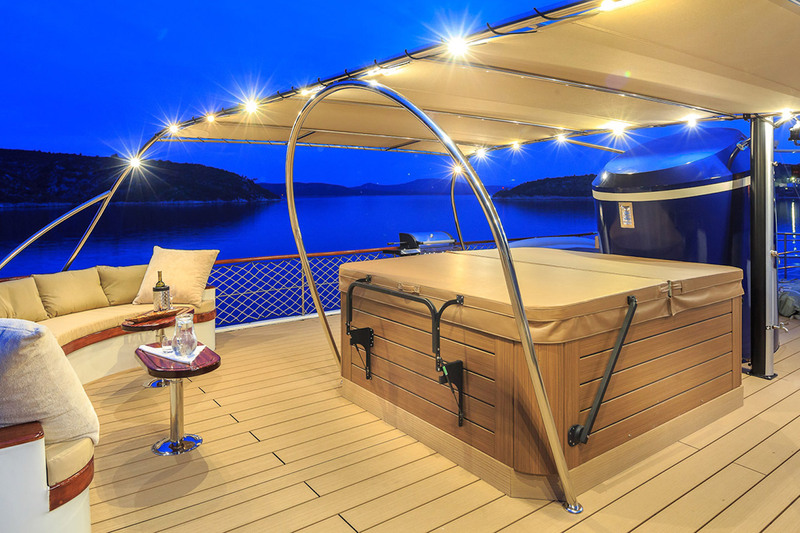 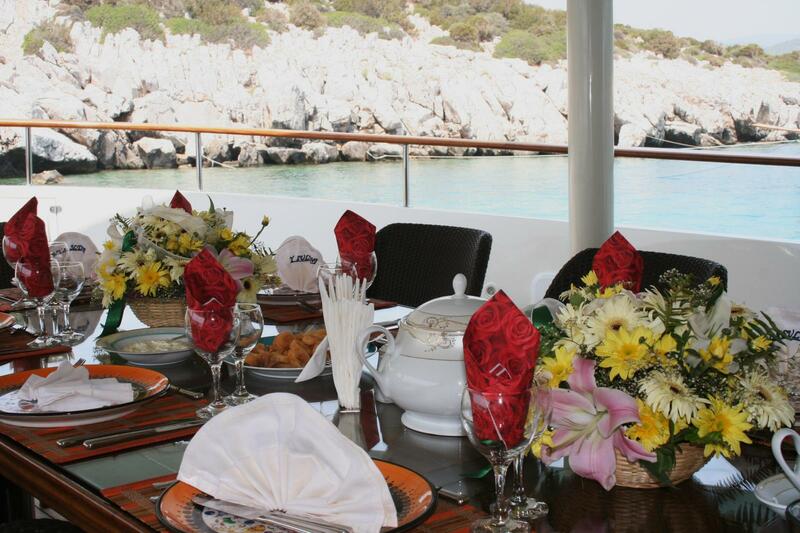 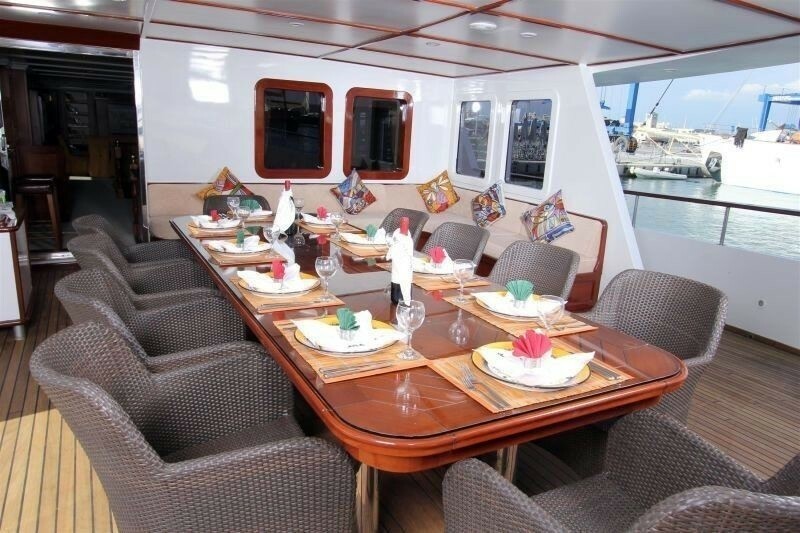 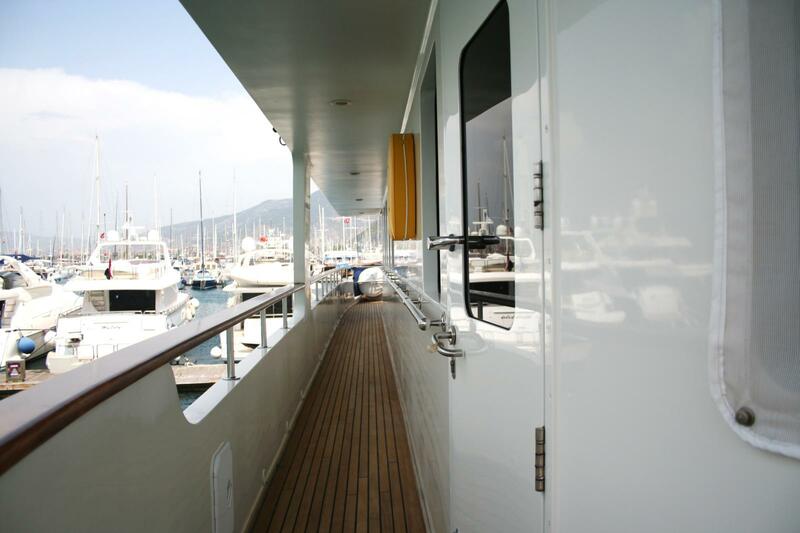 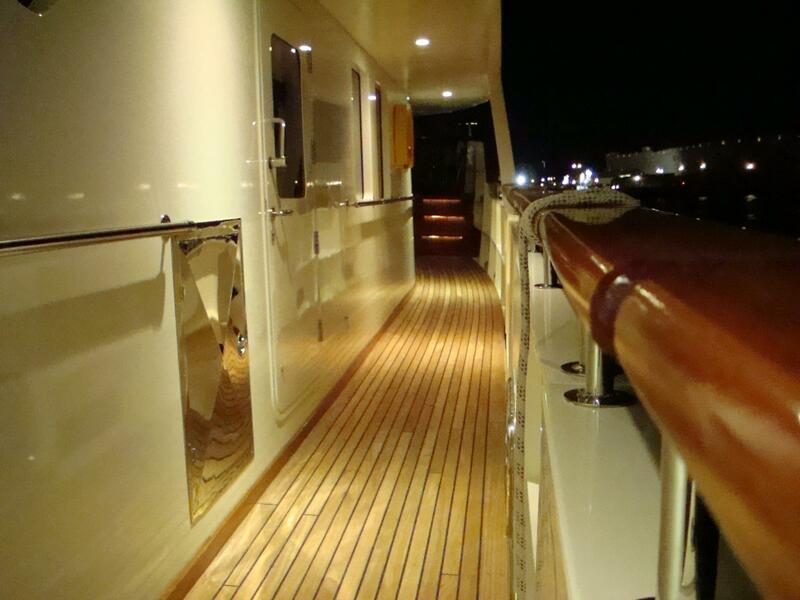 Audio Visual Equipment and Deck Facilities Audio system in all decks, saloon and cabins.